 Speakers at Digital Festival operate light years ahead of the pack. They’re industry leaders. Award winners. Room fillers. David Rowan is founding Editor-in-chief of WIRED’s UK edition, currently writing a book searching for bold corporate innovation. He’s currently on a global quest for successful examples of corporate innovation in the face of technology-led disruption. Rowan has interviewed influencers ranging from will.i.am to James Murdoch, Zaha Hadid to David Cameron. 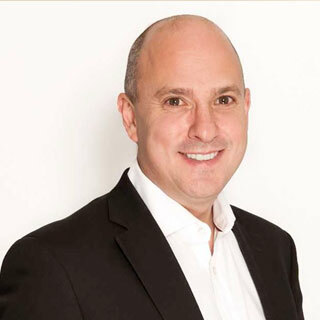 He has keynoted on technology, business and innovation themes from Melbourne to Monaco, and has chaired and moderated high-profile events for the UK and French governments, for Google Zeitgeist and TED Global, and for international banks and Fortune 100 businesses. 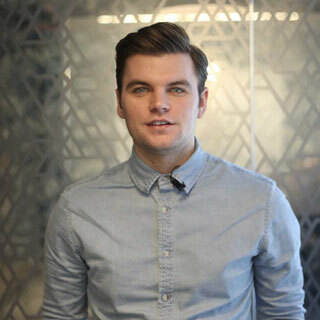 Rowan has written columns in GQ, Condé Nast Traveller, Campaign, The Times and The Guardian. 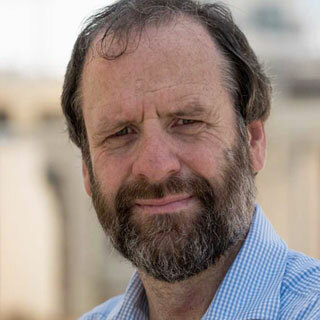 He also has wide experience as a newspaper editor, including editing The Jewish Chronicle and The Guardian's websites and Comment pages. He has made TV films for Channel 4 News; and has written long features for The Telegraph Magazine, Sunday Times Magazine and Observer. He's an early-stage investor in 40 tech companies and co-founder of a non-profit taking amazing people for weekend adventures in the world’s most extraordinary locations. As Board Executive Chairman Keith's role at ADV is to manage the interface between their investors or stakeholders and the management team. As Investment Committee Chairman he manages the interface between the investment team and the company, ensuring they comply with their processes and criteria. As an Executive at ADV Keith is responsible for developing their Fund of Funds strategy. Previously he has been a serial entrepreneur, trying to take on large transformational opportunities. Keith was a founder of EasyNet, RealNames and Archimedes Labs. He was also a founding shareholder at TechCrunch. Keith was born in Scarborough and has lived in London, Manchester and Birmingham over the years but moved to Silicon Valley in 1997 where he still resides with his wife Gené and three boys, Dylan, Liam and Luke. He spends most of his working time in the UK so lives on planes and trains! Jackson has many years’ experience working at the leading edge of technology and software development. He is also a mentor and investor, advising start-up companies in London and San Francisco. Previously he was CTO at Student.com, leading a global team and building the foremost global marketplace for student accommodation, and at onefinestay (acquired by Accor hotels in 2015), where he and his team re-built the product and experience. He co-founded Chatterfly, a mobile start-up, which was acquired by San Francisco-based Plum District, the leading daily deal company for mums in the USA. Jackson went on to become CTO at Plum District, which was subsequently acquired by nCrowd. 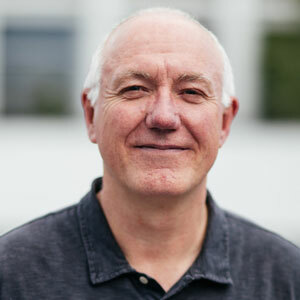 Earlier in his career, Jackson acted as CTO and VP Product Development, as well as a software developer, at VC-backed Sitoa, the largest US SaaS drop-ship platform provider. 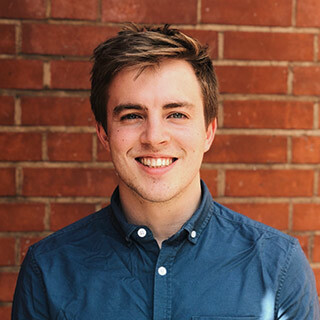 Ollie Purdue is founder and CEO of Loot; the digital current account designed to enable young people in the UK to manage their money better. Ollie graduated with a Law degree in 2014, the same year he started Loot. After struggling with money management apps and clunky banking interfaces at university, Ollie set about building Loot, changing the relationship between young people and their money, no matter how high or low their balance. Luca started HealthyHealth back in January 2017 due to his vision of using digital means to innovate the insurance sector and help customers become healthy individuals. Before having any partners or advisors, Luca was able to persist and focus on the objective, following his goal and passion of building a company that truly changes customers perception on Insurance and helps them to improve their health. In 2008 Ken was elected a community councillor. Ken’s policy interests include manufacturing, mental health, sport and leisure, eliminating poverty and political economy. 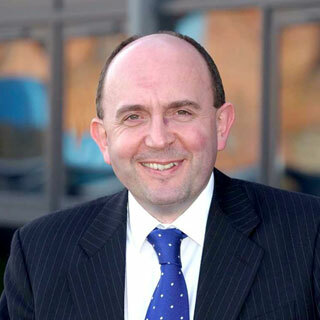 Ken was appointed to the Welsh Government as Deputy Minister for Skills and Technology in 2011. He was then appointed Deputy Minister for Culture, Sport and Tourism in 2014 and promoted to Cabinet Secretary for Economy and Infrastructure in May 2016. Ken was appointed Cabinet Secretary for Economy and Transport on 3 November 2017. Dr. Richard Theo is co-founder and Chief Executive Officer of Aviva-backed online investment service, Wealthify. A leading player in the UK’s emerging robo-investing sector, Wealthify uses smart technology and award-winning design to make investing easy, accessible and affordable for everyone. Richard is a serial entrepreneur with a passion and enthusiasm for technology that has driven him to establish a string of successful technology-based companies, all founded on a common belief in innovation through technology. 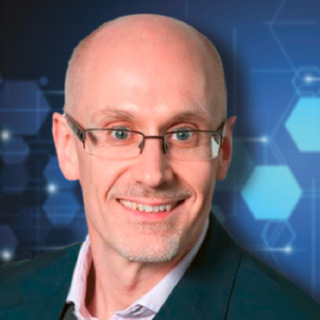 Using his PhD in Computer Networks, Richard has applied his software expertise to differentiate, innovate and derive competitive advantage, allowing his businesses to become innovation leaders within their respective markets. Simon is Chairman and Founder of the Alacrity Foundation and Chief Executive of Wesley Clover Corporation. Wesley Clover is an investment Fund specialising in seeding technology companies. Before joining Wesley Clover, he was co-founder, President and CEO of Ubiquity Software Corporation. Ubiquity was named European Innovator of the year in 2001 and in 2007 Ubiquity was acquired by Avaya Inc. Simon is a Director of Wesley Clover, The Celtic Manor Resort and Innovation Point. He is a Regent of Harris Manchester College at the University of Oxford, a Professor at the Swansea University School of Management and Patron of the Employability Academy. 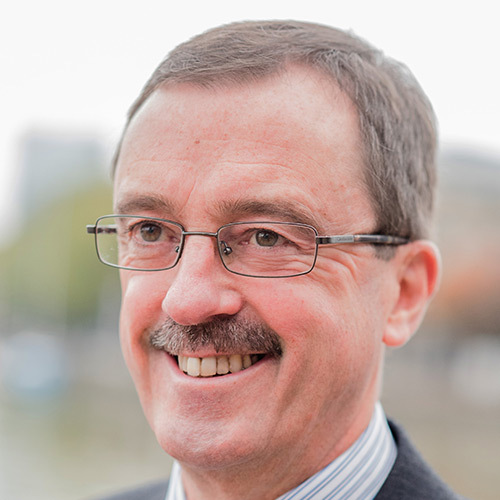 He is the Chair of Cardiff University’s Innovation Programme Oversight Board and the MIT Wales REAP project. Tom Smith is Managing Director at the Data Science Campus, joining the Office for National Statistics (ONS) in 2017. 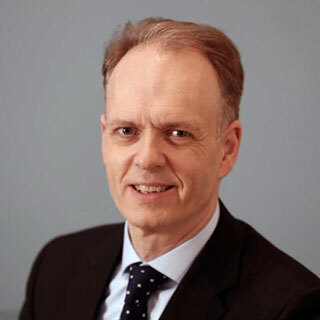 He was co-founder and, prior to joining ONS, chief executive of Oxford Consultants for Social Inclusion (OCSI), a research and data ‘spin-out’ company from the University of Oxford. Tom has more than 20 years’ experience using data and analysis to improve public services. Working at the intersection of government, academia and industry, he has led data & research projects with hundreds of local and national public and community sector organisations, including the government’s English Indices of Deprivation. His primary research interests are in using data science to improve public services, machine learning, and assessing non-traditional data sources to improve our understanding of society and the economy. 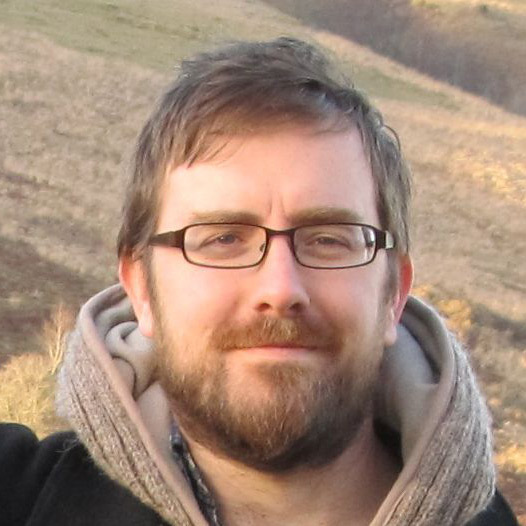 A life-long data addict, Tom has a PhD in computational neuroscience, evolving neural networks for robot control (Sussex, 2002), an MSc in knowledge-based systems (Sussex, 1997), and MA in theoretical physics (Cambridge, 1994). 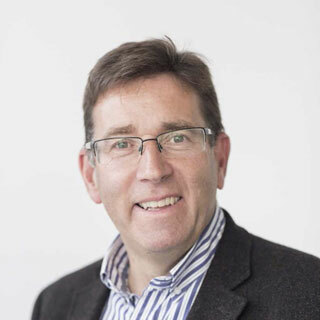 He is vice-chair of the Royal Statistical Society Official Statistics section, and previously chair of the Environment Agency Data Advisory Group, and a member of the Open Data User Group ministerial advisory group to Cabinet Office. He has also acted as an external advisor on opening-up, sharing and using data for multiple government departments. Natalie is the founder of behaviour change consultancy Prime Decision. She draws upon seven years' experience of applying behavioural economics to business – across digital marketing, CX, HR and Operations. Natalie recently launched Spacious.today – a personal exploration of leadership habits and mindful business. Jason has been developing secure web based applications and advising companies on their Data Security for over 10 years. Jason’s passion for security and data protection led him to form the North Wales Cyber Security Cluster in June 2015 and he has since overseen the Cluster’s operations and growth with the Welsh Cyber Security Clusters now totalling over 700 Members. Jason is also one of the partners of the Cyber Wales initiative, which was recently invited to become a founding member of GlobalEPIC (Ecosystem of Ecosystems for forming Partnerships for Innovation in Cybersecurity). 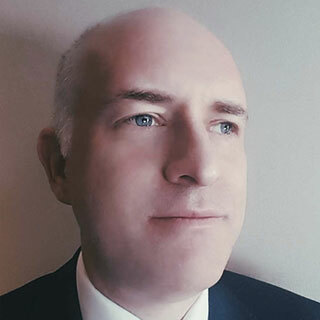 In addition, Jason sits on the committee for North Wales and Cheshire BCS helping to spread best practice in data protection and cyber security to all areas of IT and other industries. As a data security expert, Jason consults and conducts training sessions on Cyber Security and Data Protection for organisations such as AACA, Business Wales, ION Leadership, Superfast Business Wales, Denbighshire County Council, FSB and many more. 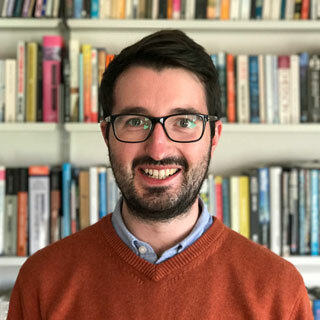 His previous experience includes working in consulting as a senior manager, specialising in programme management at Deloitte, and managing a 20 strong policy research team in Westminster. Immediately prior to his appointment, he worked as Operations Director for a social enterprise which inspires young people around the world to volunteer with local charities. He has a degree in Politics, Philosophy and Economics from Balliol College, Oxford and an MBA from the University of California, Los Angeles Anderson School of Management. Rod has over 25 years' experience in the telecoms sector, initially with Marconi and for the last 10 years with Analysys Mason. He has a wealth of experience in the mobile and broadband areas in the areas of business and network strategy, procurement, design strategy and due diligence. He has worked extensively on NGA projects and is now considering issues related to 5G deployment. Rebecca is an Associate at FINTRAIL, a financial crime consultancy working with predominately the FinTech sector. 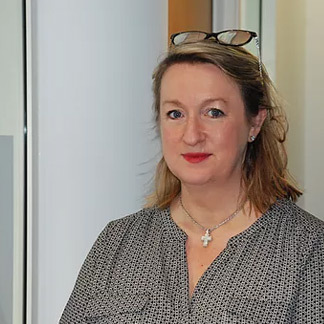 Rebecca has worked with many of the UK’s leading FinTechs advising them on financial crime processes, helping design and build controls, and acting as an interim Head of Financial Crime. Through this work, Rebecca has worked with many RegTechs, as well as providing training to RegTechs on financial crime. Rebecca also overseas the FinTech FinCrime Exchange (FFE), an information sharing forum for FinTechs. Jeffrey Peel is a Technology Sector Specialist at the Department for International Trade. 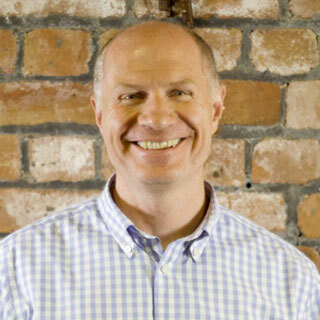 He has worked in the international technology sector for most of his career and has been involved in startups, growth firms and large enterprises - as well as working with government on tech inward investment. Jeff has worked with many venture capital firms' portfolio companies and has helped secure funding rounds for client companies. He has also been involved in the blockchain sector for the last few years and has organised and spoken at events focused on blockchain and new funding methods emerging from the 'crypto' world including token offers/ICOs. I am a Strategy professional with international financial services experience across the UK, France and Jordan. 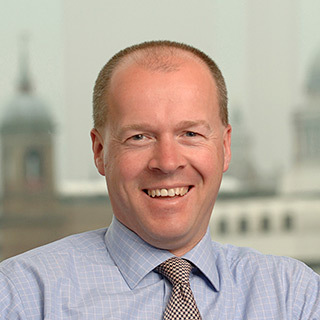 I am part of the Corporate Development team at CYBG (Clydesdale & Yorkshire Banking Group) working on Corporate Strategy projects, development of Strategic Partnerships and M&A deals. I am passionate about the disruption of financial services, financial technology and broader non-financial innovation. Particular interest in distributed ledger (e.g. blockchain, cryptocurrency) and artificial intelligence (e.g. machine learning). Michael Packianather obtained his BSc (Hons) in Electrical and Electronics Engineering, MSc in Artificial Intelligence (AI) with Engineering Applications and PhD in AI from Cardiff University where he is a Senior Lecturer and the Director for MSc Manufacturing Engineering, Innovation and Management course. He actively engages with the industry and his research interests include the development and application of AI in Smart Manufacturing, and Robotics and autonomous systems. He was a contributor to the EPSRC Smart Products Through-Life Research Road Map produced in 2016, and a Full College Member of the EPSRC. Hugh brings over 24 years of experience in Leadership & Sustainable Safety practices. His areas of specialisation include Enabling Technology for Safety, Safety Transformation & Cultural Change, Behavioural Based Safety and Occupational Health & Safety for the oil and gas, mining, manufacturing, high-tech and Engineering, Procurement & Construction (EPC) sectors among others. 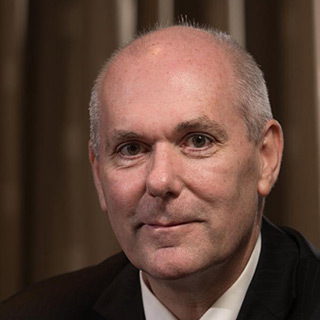 In his more recent work, Hugh has been providing specialist leadership & project support and oversight of the technical, organizational, people, culture and leadership aspects of change programs in multi-billion dollar ‘mega’ projects for the oil, gas, TMT and mining sectors. 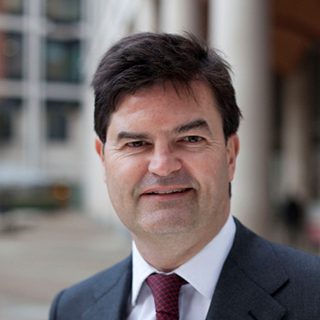 Hugh has also worked with global telecoms, semiconductor, manufacturing & infrastructure sectors. 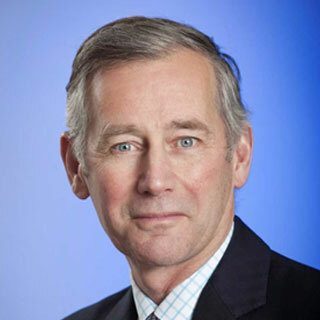 Hugh’s clients include Google, Amazon, Chevron, ExxonMobil, Shell, Micron, Tesltra International, Amazon Europe, GoldCorp, Rio Tinto, BHP Billiton, Vedanta, Samsung Engineering & Electronics and Hyundai Heavy Industries. Dani co-founded Optalitix, an InsurTech business that hosts data and AI platforms for UK insurers and banks. Dani is an actuary who has a deep appreciation for the value of data and how it can be used compliantly in a business context. He helps financial clients to deliver better business results using innovative data strategies and smart technology. Dani is a Fellow of the Institute of Actuaries and is a founder of their Cyber Risk Committee. Experienced the pain and joy of founding and leading one of the UK’s largest community of entrepreneurs. Invested time and energy into every facet of the Welsh start-up scene. Advisory member on the boards of Properr, Cardiff University Impact Accelerator, Cardiff Capital Region City Deal Strategic Regional Group, and Cardiff Start. David has spent a career helping high-tech organisations build effective relationships with the critical 3rd party developer and channel ecosystems. He built academic outreach programs for Microsoft .NET and founded broad-based services, sales and technology partnership programs for Google Search Appliance, GSuite and Google Cloud Platform, ultimately relocating to the US to run Google's enterprise developer and ISV Partnerships globally. On his return, he left to pursue his passion for technology hands-on, founding a technology consultancy and advising a number of startups, focusing on data platforms and machine learning. He studied in the UK and Australia and holds degrees in Computer Science and Management Sciences. Rob has spent a working lifetime in IT and the last 17 years in the field of identity. As Business Development Director at GB Group, Rob was tasked with establishing a new division to design, develop and market the UK’s first purpose-built electronic identity verification service. The service became widely recognised as the market leader in age and identity verification with high street banks, building societies, share traders, mobile retailers and the gambling sector amongst several hundred clients. As MD, Rob delivered year on year triple digit growth, achieving profitability in year 3, and accounting for half the group’s revenue by year 5. As time and the identity market moved on, so did Rob to seek a new challenge. In 2012, Rob started working with a start-up, Innovate Identity. Today, Innovate Identity is regarded as a thought leader in digital identity, providing specialist consulting services to governments, the financial services sector, suppliers and investors, to help them better understand the world of identity and develop digital strategies. Rob is also the General Members Representative and Director of the Open Identity Exchange (OIX) Europe. 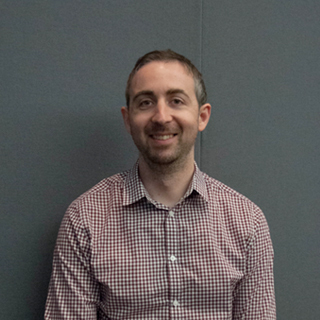 Chris Mitchell is Digital Service Manager at the Office for National Statistics, leading the design, development and operational management of ONS’ Survey data Collection platform which will ultimately be used to deliver the Census to 25+Million users. A passionate evangelist for user-centred, agile service design, Chris spent 5 years at Government Digital Service, leading digital transformation of government services. Prior to that he performed a range of digital roles in government, private and 3rd sectors, specialising in digital service management, establishing digital functions, transformation and organisational & cultural change. Eduardo Garcia is founder and CEO of F&W Insights, an internet-of-things technology startup making draught beer keg containers smarter. Our keg sensors gather real-time location, temperature, and volume level information to provide with supply chain participants with data insights to achieve operational excellence. Benefits we enable include asset tracking and just-in-time production for breweries, route optimization for distributors, and wastage, product, staff performance for retailers. Prior to F&W Insights, Eduardo was a former strategy and technology management consultant with 15+ years of professional experience. He’s been a champion of solution design utilizing emerging technologies and is highly accomplished in the areas of growth strategy, customer experience, process optimization, end-to-end implementation, and product development. Eduardo holds an Electrical Engineering degree from Southern Methodist University. 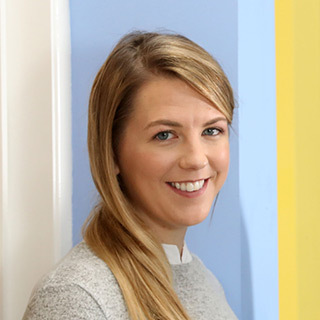 Guernsey-born Michelle Pearce, 28, is co-founder and Chief Investment Officer of Aviva-backed, UK digital wealth management service, Wealthify. Michelle left medical school in Edinburgh to pursue a long-standing passion for investing, which had begun as a teenager. 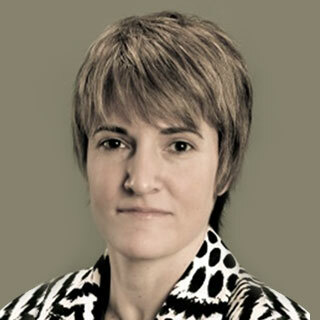 She joined Channel Island-based asset management business, Brooks Macdonald in 2009. However, she soon became frustrated with the layers of unnecessary complexity in traditional wealth management services and the lack of investing opportunities for people with average sums to invest, particularly young people like her. She co-founded robo-investing service Wealthify in 2014 with the aim of offering a completely digital discretionary wealth management service to everyone, with low minimum investments and straightforward, low-cost fees, that anyone can afford. Wealthify launched to the public in April 2016, with an initial target of 1000 customers. Two years on, the business has recently surpassed 15,000 registered users and attracted a raft of awards, including two UK Digital Experience Awards, a ‘Highly Commended’ at the UK Platform Awards, and a silver Best Buy from Boring Money. Currently Lead Business Analyst and Agile Coach at Cardiff-based software consultancy Box UK, prior to this Allie was the organisation's Head of Support for 10 years. She has a wealth of experience in understanding, prioritising and managing client needs and, most recently, has acted as Product Owner on a number of high-profile projects with global electronics retailer RS Components. Allie is particularly interested in raising the profile of women in technology - and not just in development roles. She’s keen to encourage young women into the industry and has previously been involved in a number of events aimed at doing just this. Outside of work she's a keen photographer and, until injury ruled her out, she was a regular with the Tiger Bay Brawlers roller derby team! 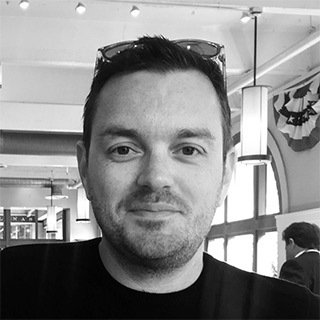 Damien is a project manager at Box UK with over 16 years’ experience in the IT and media industries. 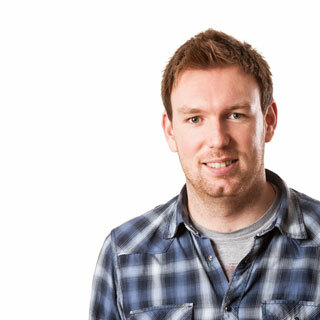 He previously spent a number of years working for Microsoft in his native Ireland where he delivered a diverse set of projects (not least the Windows 10 release) that spanned front-end features, middle-tier tools and back-end services. Damien is qualified in a range of project delivery methodologies but is particularly skilled in Agile and has managed agile transformation projects for many of the teams he's worked with. Most recently Damien has been performing Product Owner and Scrum Master roles for projects such as RS Components’ DesignSpark platform and BMJ’s critically important Best Practice app (supporting over 100,000 medical professionals in clinical decision-making worldwide). With 12 years in the industry, Ian Jenkins is a Principal Developer at Box UK who has wide-ranging development experience with high-profile clients that include the National Gallery, Careers Wales and, most recently, RS Components (supporting 500,000+ engineers globally via their community platform DesignSpark). 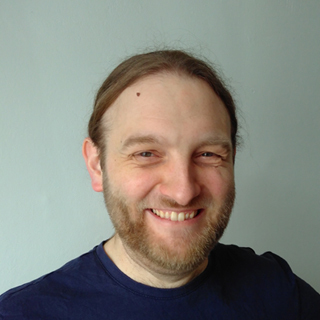 Working across a breadth of platforms and languages, Ian is a regular speaker at the community-driven unified.diff and is keenly interested in the maintenance and transformation of troublesome legacy software. Where many developers may resent having to work with technical debt, Ian thrives on the challenge. He’s particularly engaged by the creativity required to achieve often ambitious business goals while working within the constraints of the existing patterns within a legacy codebase. With 20+ years’ experience, Jaime has spent the last 10 years in the technology industry working both client- and agency-side with organisations that include Panasonic Colour TV, University of South Wales, Dutton Merrifield and Tidalwave Technology. A passionate advocate and change agent for customer-centric business practices, he is currently engaged as Client Services Director at Box UK. Jaime uses his wealth of knowledge to help ambitious and forward-thinking organisations realise their visions of digital transformation, engaging at board-level to drive digital innovation programmes and help deliver organisation-wide cultural change. DesignSpark is part of RS Components, the world's largest distributor of electronics and maintenance products. The organisation started off as a predominantly catalogue-based company for engineers, but in recent years has transformed into a much more digitally-focused organisation. This transformation has been hugely successful and today they offer around 500,000 products to over one million customers, shipping more than 44,000 parcels a day. DesignSpark is the organisation’s online platform for the global engineering community, offering access to tools and other resources that are fully-featured, easy-to-learn and - importantly - free for engineers to use. 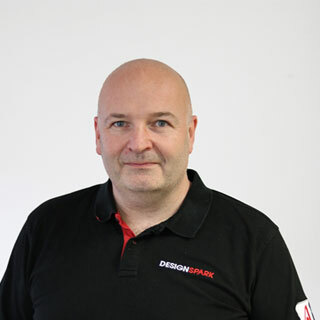 As Platform Manager for the site, Dave oversees the ongoing management and development of DesignSpark, to ensure it continues to effectively serve and engage this growing engineering community. BMJ is one of the world’s oldest general medical journals that today is both a publisher of academic journals and a developer of online digital products and, as Chief Technology Officer, Rex has has led the complete re-implementation of the mobile app, editorial tools and online platform for the BMJ’s biggest in-house product. He is an advocate of delivering value to customers early and often, be they internal colleagues, or external customers. Co-Founder & CEO of Zeelo, the on-demand coach service. 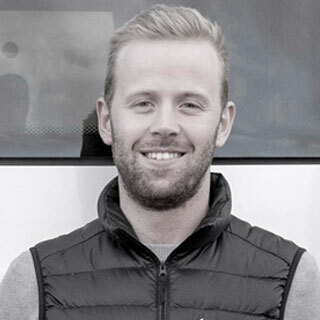 Sam has been in mobility technology for over 5 years, after founding and selling his 1st business, JumpIn (a taxi booking and sharing solution) to Addison Lee in 2014. 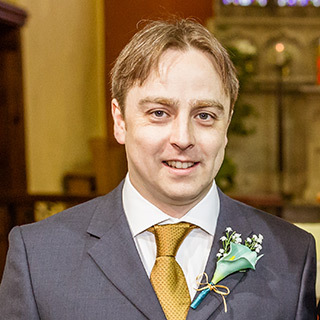 Dr Carl Griffiths is the Technology Seed Fund Manager at Finance Wales. He holds a PhD in Physics from Cardiff University and is the former CEO and founder of Seren Photonics Ltd. Prior to founding Seren, Carl worked as the Principal Research Engineer for BICC Cables Ltd and also founded ORS Ltd, a manufacturer of optical probes for the semiconductor industries. He was the Managing Director for ORS for eight years, running the business and raising equity funding before becoming Investment Manager at VC firm Fusion IP plc. Carl now focuses on investing in IP rich Welsh technology ventures with the potential to be high growth companies. Carl has invested in a number of different technology sectors including engineering, software and materials. With new and follow-on investment experience, Carl aims to develop lasting successful relationships with the businesses he invests in. Carl has worked with a number of commercial due diligence providers and co-investors and is adept at helping businesses shape and develop their ideas. Prior to joining the ICO in 2013, David worked as an information rights practitioner in local government, and he also has a background in technology. He is the manager of the ICO’s Welsh office located in Cardiff, where he works alongside organisations from across all sectors in Wales to help them better understand their information rights obligations. He has a particular interest in how new technologies interact with the privacy rights of individuals. 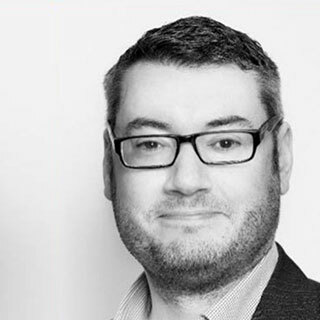 Glenn has worked within the media industry for over 10 years in various roles from creative to operations director. 4 years ago, he started the AR VR Show, due to his passion for new tech and everything AR & VR. The show continues its success and runs annually at the Excel arena in London. 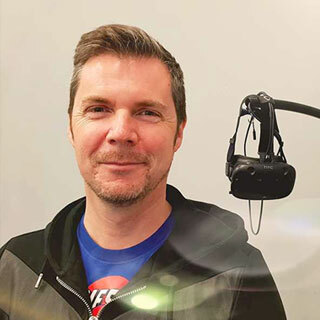 In February 2017 Glenn joined the Orchard Media and Events Group Ltd to lead their 360 / VR department (Orchard 360) and establish them in this space. Glenn has brought his creative insight paired with his sales and marketing expertise to educate clients, develop concepts and new product developments. Glenn has spoken at many summits and conferences including, Bafta’s Visioning the New Realities, TEDx and OIConf to name a few. 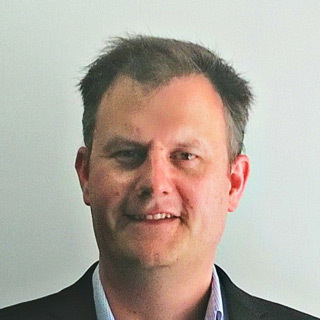 Paul is the Director of Cyber Intelligence for the Security & Trust Organisation at Cisco. He is responsible for research into the detection of sophisticated targeted attacks, especially using big data analysis techniques. This work also covers insider threats, and advanced techniques in behavioural analysis. As well as his technical role in Cyber Intelligence he is the Chief Security Officer for Cisco UK. 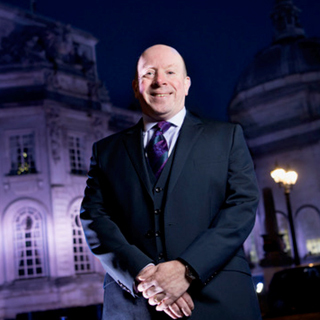 He advises on a broad range of security matters, and specialises in advanced threats. He works very closely with commercial organizations, especially within the financial and government sectors to both partner and drive improved cyber security posture. 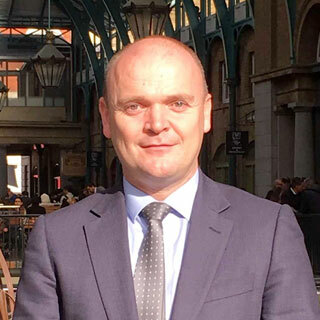 In this CSO UK role Paul also represents Cisco’s efforts to thwart cyber crime in partnership with various UK Government departments such as the Home Office and Law Enforcement Agencies, including the National Crime Agency (NCA). Paul represents Cisco on the UK's Centre for Protection of National Infrastructure’s (CPNI) Information. Paul is also a member of the Internet Security Advisory Group at Europol’s European CyberCrime Centre (EC3). 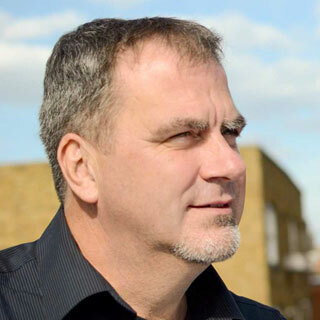 Since joining the company in 1994, Paul has worked with and advised some of the company’s largest customers, and has been a frequent public speaker on a variety of security related issues including Internet, e-business and corporate security. Cynical, sometimes amusing, often brutally truthful possibly on the spectrum healthcare professional. More qualifications then you can shake a stick at, but sufficiently emotionally intelligent enough to understand his many limitations. Committed to helping people try and be the best the want to be but humble enough to understand it’s their life and their choices. Generally very happy about life and stuff. Done lots of stuff and met many people with good insights into what we think we are trying to do. Available for wedding, birthdays and bar mitzvhs. 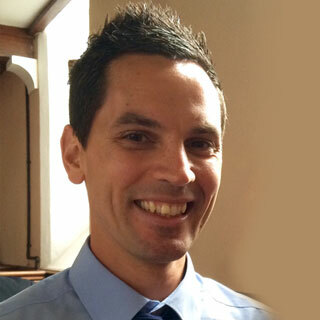 Siôn Charles is Deputy Director at the Bevan Commission and Bevan Academy where he leads the Bevan Innovators programmes as well as and being involved in business and policy development and Commission events. He takes a particular interest in new and emerging sciences: co-production and Prudent Healthcare, behaviour change sciences, service transformation, complexity and systems working. He enjoys making sense of chaos, offering new approaches and perspectives to resolving old challenges and translating complex delivery requirements into simple actions. 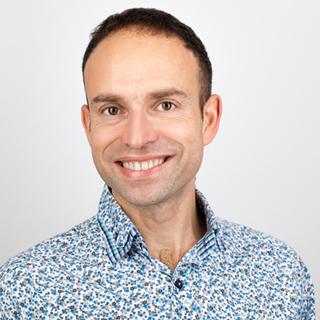 Richard is one of the most experienced practitioners in applied behavioural science in the UK and the founder of Communication Science Group, a specialist consultancy applying behavioural science in communications and technology. He won Global Festival of Media Campaign of the Year in 2014, and led the development of the world’s most successful stop smoking mobile app (My QuitBuddy). 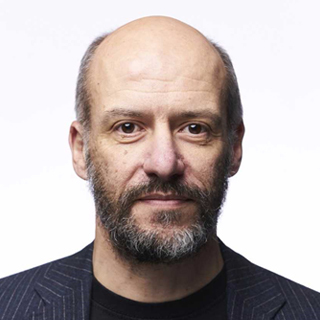 He has led communications strategy for both local and central government in Australia and the UK, as well as anti-smoking campaigns for the UK Department of Health, and advised commercial clients including Atos, IKEA, Pfizer, Google, and ITV. A frequent conference speaker throughout Europe and Australia, Richard was previously head of Ogilvy’s behavioural practice ‘Ogilvy Change’. 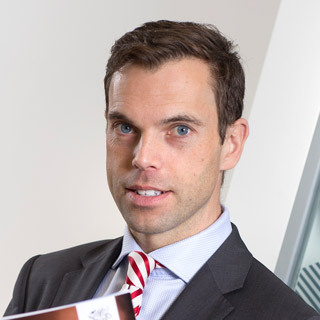 Chris has a development role in the School of Law and has a particular focus on growing skills and supporting innovation to help law firms adapt to the challenges and opportunities created by new technologies.  Director of Design and Service Standards for the UK Government at the Government Digital Service (GDS). 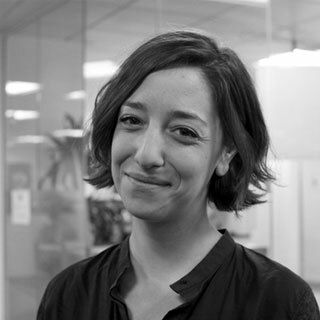 Lou was joined the UK Government in 2014 and founded the discipline of service design in government. 4 years later they now lead a community of over 3,000 designers, user researchers and content designers across government - and the direction of a £5m programme of design standards, products, and activities focussed on enabling government to transform services to meet user needs. They are a passionate believer in the responsibility of design to create a world which benefits everyone, and are a prominent protagonist for transparency and ethics in the design industry. Dr Anna Whicher is Head of Design Policy at PDR, the International Design and Research Centre at Cardiff Metropolitan University. 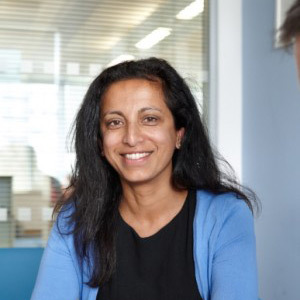 She is responsible for leading networks, conducting new research, co-developing policies and services with users and evaluating impact for government, innovation agencies, sector councils and trade associations in the UK and across Europe. Anna has led design for public services and policies initiatives with the Welsh Government, HMRC Digital, the European Central Bank, the Northern Ireland Department of Health, the Latvian Ministry of Culture and Zero Waste Scotland, among others. At PDR, she leads the Greenhouse applied training programme in service design and policy design for public officials and is an accredited trainer with the global Service Design Network. 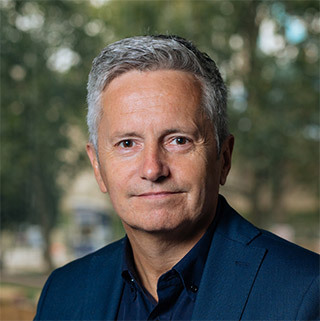 One of the first CDOs in Europe, Pascal is a highly respected business leader with a strong track record in data and digital transformation, having been previous appointed as Head of Global Digital Performance, Chief Digital Officer and Director of Brand & Digital Marketing for global companies, including HSBC, lastminute.com, Hertz and Thomas Cook Group. He is currently appointed as Vice President of Marketing at GoCompare, where he brings his expertise in harnessing data to create sustainable competitive advantages. Lee is one of the founding members of GoCompare and has been with the company since its inception. 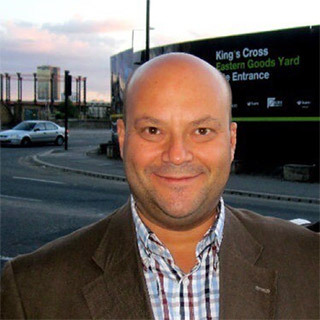 He has vast experience of business development, partner relationships and product innovation. Lee has spent over 20 years in the insurance industry, and during the last 14 years he has played a pivotal role in the rise of price comparison websites. Before helping to start GoCompare he worked for Admiral in various business critical roles, culminating in being part of the team that launched Confused.com. 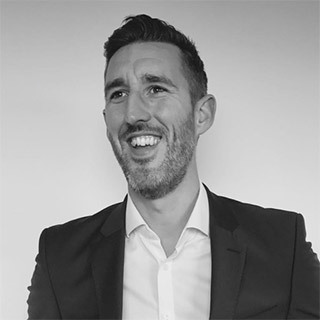 With over 9 years’ experience in the learning and development sector, Jon currently works as Talent Management Business Partner at Gocompare, focussing on the training provision and carrying with him a wealth of experience from previous roles as HR Business Partner, Quality Manager, Apprenticeships Team Leader, IQA and trainer. 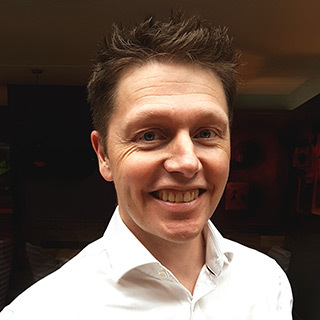 His breadth of experience has allowed him to transition into the wider HR function, where Jon has written and implemented a companywide management development programme. As well as this, he has developed the GoFurther academy, while having a pivotal role in GoCompare’s recently announced sponsored degree programme. Jon is also a member of the Financial Services Employer Board for Wales. George is the Chief Product Officer at GoCompare. He has built and sold businesses in manned space flight, online dating, transportation and mobile apps. He was previously chairman of MIT’s Enterprise Forum in the UK and led the product team at the taxi hailing app Hailo, launching the app in 13 cities and helping drive the first $150 million in revenue before acquisition by Daimler in 2016. He also founded DeepAR.ai, an augmented reality technology Ad platform that enables any app or website to add Snapchat-like masks, lenses, filters and special effects with a simple software development kit. Alex is a modern, dynamic leader with an aptitude for challenging existing business processes, with new data driven solutions. Currently heading up the Human Resources team at GoCompare, he ensures the development and delivery of people management strategies to support the company’s overall strategic aims and objectives. 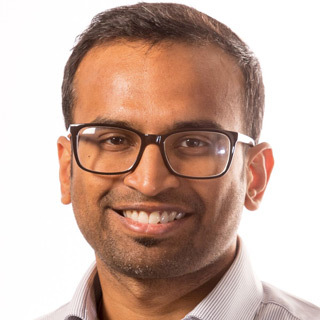 He has been directly responsible for the introduction of data driven people solutions, leading a team of HR, Development, Engagement, Internal Communications and Recruitment Business Partners from a transactional and disjointed provision to a business centric, agile and tech focused solution. Iona Collins is employed in Swansea as a consultant spinal surgeon. 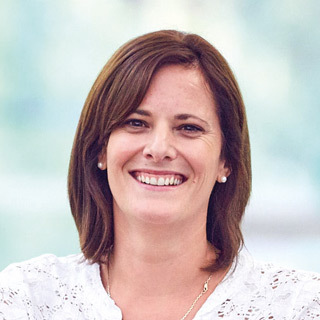 She is currently lead investigator for a clinical trial, funded by the Bevan Commission, which involves a new MRI technique for use in spinal cancer. Not being a professional researcher, the process of putting an idea into reality has involved bureaucracy that Iona has never encountered in the comparatively smooth-running NHS. She have witnessed how a simple action is transformed into a complex process. 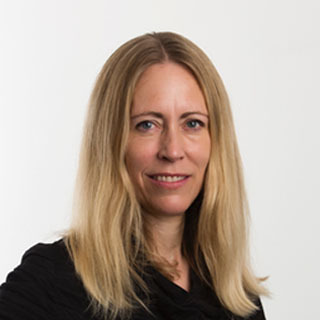 Caroline draws on 25+ years expertise in global banking applying new technologies to deliver innovative products and services across finance, payments and microcredit sectors. Her passion is to open up money services to people and SMEs who could never access them before, and helping businesses cut out waste and expense from current services. The goal is to make life simpler and more convenient for people to access money around the globe. At ObjectTech she is focused on giving people back control of their identity, to access a wide range of services from finance to travel to everyday needs. Caroline is both a serial entrepreneur and has held executive roles at Barclays Bank, American Express, Australian Stock Exchange, delivering new products in credit card payments, financial inclusion, travel and airline services worldwide. She leads an active social innovation agenda. At Barclays she led the Social Innovation Portfolio. And is a former Board member of Oxfam (Australia), and Fairtrade Committee member. She supported microcredit communities and alternative finance in South Africa, Kenya and SE Asia (Cambodia, Indonesia, East Timor). She has helped ethical farmers to reach commercial deals with Starbucks and major high street retailers in the UK and Australia. Her company was appointed the official digital agency for the Sydney Paralympics, winning awards for accessibility in online services. Caroline is a regular speaker in fintech, Regtech and social innovation as well as a supporter of ‘women in tech’. In past year, she has spoken in UK, Europe, Africa and USA. 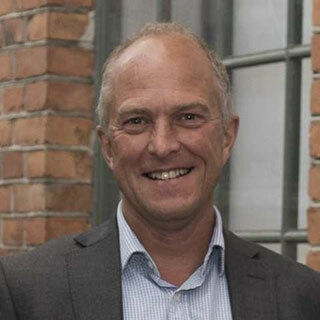 Pete Sweetnam has the almost unique position of combining more than 30 years’ experience within the humanitarian and development fields, with a successful commercial career the UK. His experience covers the full spectrum of the both the development and humanitarian sectors, including working with governments, donors, the UN and NGOs of many sizes, as well as holding consultancy positions and senior field positions directing responses in natural disaster and conflict settings. He has experience in developing and working in areas that have held a profound change on the sector in the UK and globally, these have included funding mechanisms, government relationships and negotiating the first accepted common sector wide approaches to humanitarian response. His business experience includes running his own engineering company in Scotland and now leading the application of blockchain and self-sovereign digital identity for ObjectTech to the humanitarian and development fields. This ranges from cash transfers, to financial exclusion and to applying the trust framework that blockchain enables to commercial and social contexts. Within his currently role he partners with the Commonwealth Partnership for Technology Management and has briefed the senior management of the Bank of Tanzania on Crypto-currency and all things blockchain. Paul founded ObjectTech to address the opportunities and challenges of open banking, PSD2 and GDPR. More recently a globally recognised expert on practical blockchain implementations, identity, financial regulation and regulation technology (RegTech). He has navigated between startups and large organisations, from CEO of startups, advisory boards to Senior Executive in international corporations. 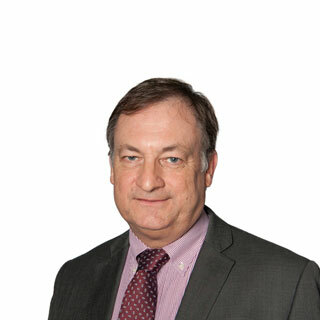 Andrew became Director of the Swansea Intellectual Property Rights Initiative in 1999, winner of the Wales one-2-one Best 4 Business Award in 2000. 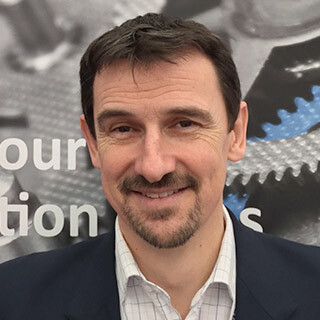 Andrew was responsible for designing and launching the IP Wales® project in 2002, winner the of the Judges Special Prize at the WORLDLeaders European Awards. In recognition of his success in raising levels of awareness and understanding of IP amongst the SME community Andrew was seconded 2007-8 to work for the World Intellectual Property Organization (WIPO). 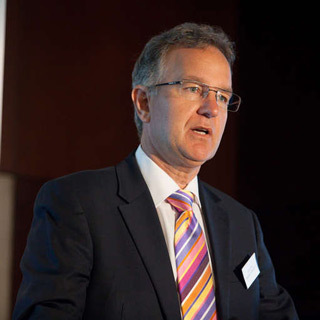 Andrew achieved national recognition for ‘services to intellectual property and business’ with the award of an OBE in 2009. International speaking invitations have included presenting to the World Intellectual Property Organisation, the World Trade Organisation, the European Commission and the European Patent Office. In his academic career Andrew has served as the Head of the Swansea Law School (University of Wales Trinity Saint David) & Acting Head of the renamed Hillary Rodham Clinton School of Law (Swansea University). 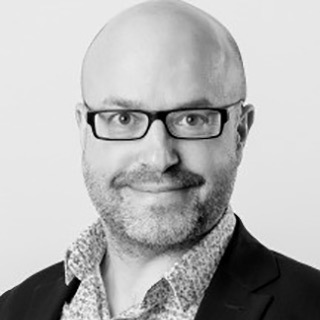 Rob has over twenty-three years' experience of digital transformation; supporting clients with their digital strategies and the design and delivery of digital services. Rob has helped Government agencies agree their digital strategies, research and scope their digital services, he helped launch and run NHS Choices which now serves 45M+ users a month and has helped the world 5th most innovative company agree and deliver their global digital strategy. As is the nature of digital he is experienced at breaking down silos and building consensus and momentum with senior stakeholders, then driving delivery with multi-disciplinary teams to deliver desired outcomes. Rob is an international speaker on Digital Business, he is quoted regularly in media e.g. The FT and The Drum, and speaking at events like Digital Shoreditch and the World Cloud Forum. Abiola has delivered a range of strategic and operational client solutions within both private and public sector organisations including the procurement of products and services, modelling of resources, management of data and information and risk management and analysis. She has experience in market and customer research and analysis, business case development, options analysis and developing bespoke decision-making tools and models. Her clients include organisations within the pharmaceutical, consumer goods, education and transport sectors. Nicola is commercially driven, strategically minded and highly influential with a background of Consultancy, Operations and Programme Management. She understands the challenges and constraints faced by organisations today in achieving quality and consistency across all aspects of their operations. Nicola has experience of working within political and challenging organisations with highly regulated environments. An excellent communicator, Nicola also possesses strong leadership and interpersonal skills which she utilises to establish effective stakeholder relationships. Bim is a FinTech consultant in the corporate banking space, collaborating with a variety of banks and financial institutions across Europe and Northern Africa, to co-create the future of banking services. With the firm belief that banks need to innovate to stay relevant, her focus is to digitise and open up the banking infrastructure to create a customer-centric future of banking. With a background in sustainability consulting, she is now set to support sustainable trade through providing better access to trade finance and new technologies. As a member of the Sustainable Trade Action Group (under the World Trade Board) she is developing a pilot that will provide trade finance to sustainable smallholder farmers using the blockchain technology. Jack joined Ecobank in 2017 and keeps on top of the continuously evolving digital, technological and innovation trends across Africa. Prior to this, he conducted research in Nairobi on the barriers that Fintech companies face when trying to scale. 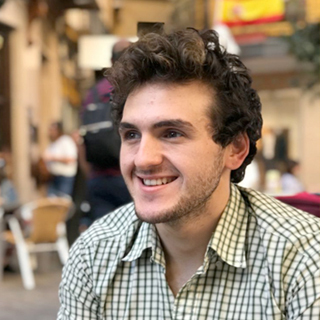 With a background in International Development, working for UNICEF in Brussels and Save the Children in London, Jack is passionate about sustainable and equitable growth in Africa. Jack earned Master’s degrees in Management from Lund University, Sweden, and International Development from the University of Amsterdam. Jason is the Head of Data & Analytics Architecture, in BT. 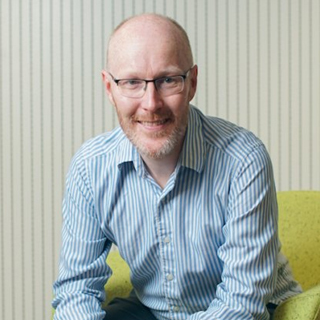 He has have spent 20 years in IT specialising in tackling some of the world’s most complex data challenges from the world largest health analytics platform, a national statistics open data service to transforming analytics at one of the world's leading communications services companies. He is passionate about the potential of using data for a fact based view to transform our world for everyone from citizens, customers, business to society. Jason is both a Certified Business Intelligence Professional and a Certified Data Management Professional. In his spare time he loves to explore the world with his family. Shyam Duraiswami is an award winning, TOGAF certified Enterprise Architect with a decade of experience in product development, manufacturing and end customer experiences. He is currently responsible for Cognitive Manufacturing and Digital Operation solutions for the UK in Automotive, Aerospace & Defence sectors. In this role, he brings his entrepreneurial spirit to compose new solutions leveraging IBM's global expertise as well as breadth of technology capabilities in IoT, Analytics, AI and Blockchain. A keen follower and enthusiast of permissioned blockchains and internet 3.0 protocols. A mentor to startups, he is an advisor The Internet. Foundation to address Data Privacy in Web 3.0. 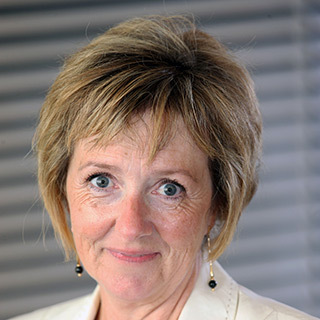 Avril was appointed Managing Director of the ESTnet in May 2012. Since her appointment Avril has successfully raised the profile of the ESTnet as the voice of the industry in Wales. The ESTnet provides a collaborative environment in which people and organisations working in enabling technologies can create strong business relationships, exchange knowledge and share ideas collaboratively. Avril has created and championed several noteworthy ventures including the ‘ESTnet Next Generation’ which encourages young people to choose a career in technology; The Wales Technology Awards which promote and celebrate the innovation and achievement of individuals and organisations in the industry; and the Wales Festival of Innovation showcasing innovation pan Wales pan sector where the ESTnet is a founding partner. 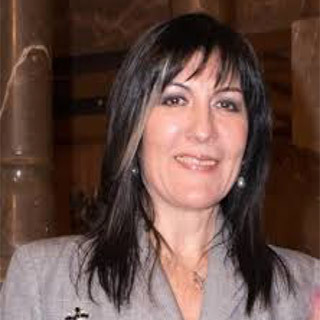 Avril is an influential and well connected energetic leader with a wealth of industrial experience. 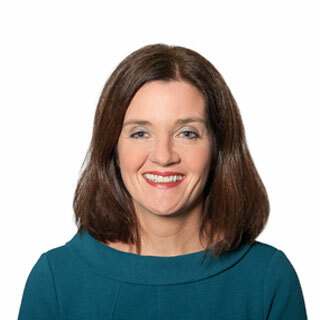 Prior to her role at the ESTnet Avril worked in the semiconductor industry in Wales, completing an MBO and ultimately the sale of a multinational business. With a background in financial services, gambling, insurance and crypto investing, he has lived all over the world. As a private investor, and C.O.O. of CryptoBuild since 2014, he holds a deep-seated interest in alternative finance, crypto and blockchain. With +15yrs experience as a software developer Robert is in a unique position to understand the technology behind bitcoin. Robert originally got involved in bitcoin in 2013 and started running Bitcoin Wales meet-ups in January of this year where regularly commentates on the cryptocurrency industry, technology & is commercial and social applications. 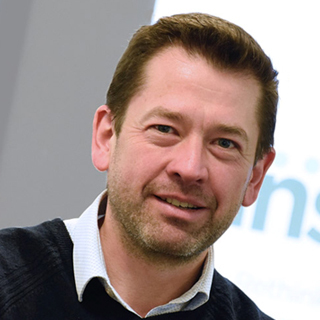 With 20 years' experience, Owen has worked in industries that include engineering, retail, healthcare and telecoms as well as in roles spanning development, testing, consultancy, support and training. Vastly experienced and knowledgeable, he is currently engaged as the Head of Development at web and software consultancy, Box UK. 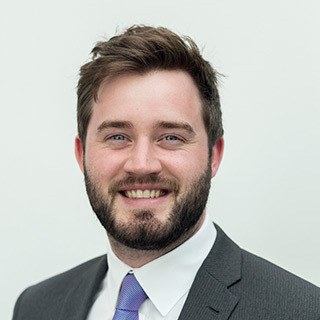 Owen is particularly interested in development quality standards and continuous improvement, as well as the ways in which developers may maintain and improve their skills on an ongoing basis to ensure continuing relevance to the market. I joined the NHS in Cwm Taf as a junior Medical laboratory Scientist in Pathology in 1977. I worked in Biochemistry for 20 years and during this time I not only worked within the health board but also had the opportunity to engage with GP’s and the Ambulance service on various projects. This enabled me to expand my knowledge of healthcare providers and see more aspects of care. As Biochemistry became more automated and computer driven I felt the time had come to change direction to work in Information and Technology - IT. I moved to IT in 1999 just in time for the millennium and all its issues! I Head up the Clinical Systems Teams and I have during the last 20 years implemented and designed systems both at a local and National Level. My areas of particular interest are Pathology and the Welsh Clinical Portal. Clara Durodié is a business technologist with Board level experience and an expert in applied artificial intelligence in financial services. 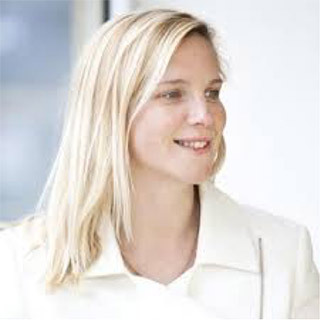 She has served in leadership roles in European asset and wealth management in UK, Switzerland and Luxembourg. Clara is the CEO of Cognitive Finance Group, a consultancy and investment company specialised in applied A.I. in financial services for the correct adoption, selection and implementation of A.I. systems. 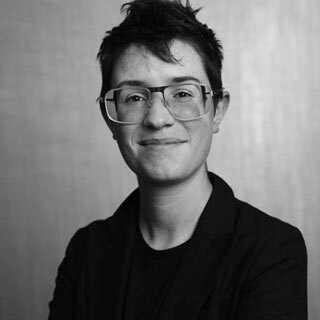 Before establishing Cognitive Finance Group, Clara had started scoping the research for her PhD which sits at the intersection of neuroscience, artificial intelligence and wealth management and looks at how episodic memory informs how people save and invest. 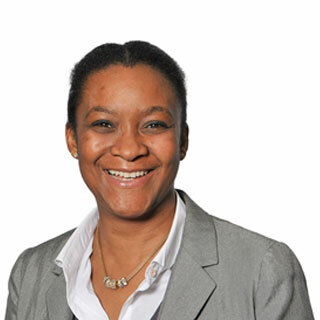 Clara is a member of the Chartered Institute for Securities and Investment in London UK, has a Certificate in Investment Management and holds a Master’s degree from the University of Oxford. 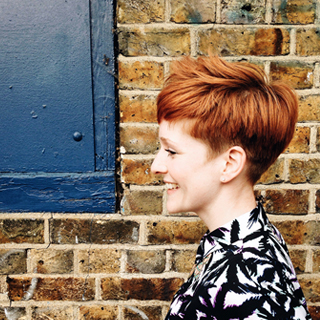 Ella has been with GoCompare for three years, currently heading up the content team as Content Director. 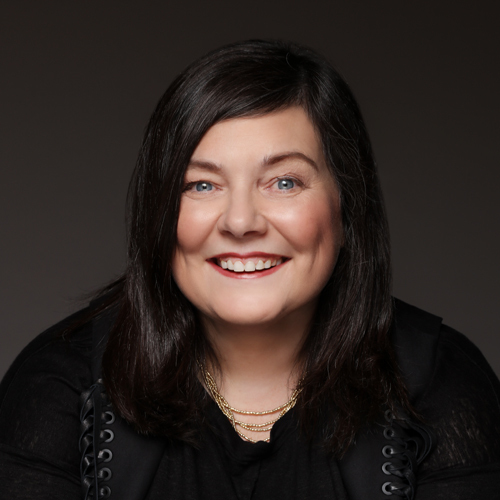 She previously held roles in marketing planning and market research at GoCompare and also represents part of the senior leadership team for both MVC and GoCompare. This has included the recent coordination of the ‘Think Like a Leader’ series, securing high profile speakers to share their knowledge and business acumen to the wider GoCompare team. Having previously worked for the Welsh Government, Ella delivered many aspects of market research and analysis for tourism, marketing and major events teams. This involved impact assessments, trends analysis and brand development as well as working closely with colleagues across government and liaising with public and private sector organisations across the UK. She has experience of working with a range of sectors in Wales, starting her career working on a university led knowledge transfer scheme. This involved setting up and managing a marketing consortium for public, private and voluntary sector partners. David Notley has a background in Venture Capital and has started and successfully exited from several businesses. He founded and runs Impact Innovation, a professional advisory firm that supports high growth and technology businesses across the UK and Europe. Impact is part of the Excelerator Consortium delivering the Business Wales Accelerated Growth Programme. Carlo is digital strategist and practitioner with a wealth of experience in a number of sectors. Led many complex projects as lead strategist / digital strategist / business architect for CEOs, CFOs, CMOs and MDs of UK and European clients. A versed growth, digital and product development practitioner and a thought leader in “business and growth strategy for the digital age”. Formerly a Partner with PwC Strategy&, where he launched the UK Digital Practice. Until 2011 a Partner with PRTM, where he led the Growth Innovation Practice globally. Until 2008 a Partner with Accenture where he led the CRM/Marketing Transformation Practice in the UK and the Insight & Analytics Practice globally. Jason is a software engineer with 13 years of real-time image processing and system engineering experiencing in the defence sector. Jason has expert knowledge in photogrammetry and numerical analysis and has applied these to navigation, surveillance and tracking projects. Jason has experience in client contract negotiation, and requirements derivation and analysis. Jason has lead multidisciplinary teams of engineers, physicists and computer scientists to complete large projects across cultural and language barriers. Ottoline is a Managing Consultant in PA’s Digital team, and an expert in digital transformation, strategy and operating model design. She works across the public and third sector helping organisations respond to digital change through strategy and operating models. She has led design work for significant government digital programmes and developed digital strategy across many organisations. She is passionate about inspiring new ways of thinking and delivering in a digital age. Building systems and processes for the DWP to support Universal Credit gave me a crash course in how identity, trust and public money generates huge tensions and challenges. Digital Speed, High Security, Ease of Access to Services and Benefits – choose two and you can’t have the third?? Kathryn has over 15 years’ experience working within Higher Education as both a consultant and previously as university employee. She has worked across the university sector from research intensive universities. She works with Higher Education Institutions to design and transform their operating models including defining capabilities and processes. Using PA’s Business Design approach she recently led the design of all student services for a top twenty UK university. Recognising that changes to operating models requires the support of the teams Kathryn follows a facilitative approach, bringing the operational teams together so they can design their future operating model. Kathryn has significant organisation transformation experience having also led the transformation of a number of departments within complex organisations. Notably, she led the design and transformation of a large HE IT department where she was responsible for merging many IT departments into a single directorate whilst also establishing new working practices and culture. R&D Programme Lead at Open Data Institute. 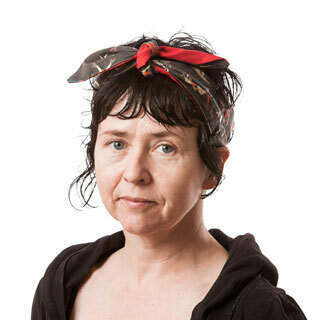 Miranda Marcus is the R&D Programme Lead at Open Data Institute. She leads the overall programme, which aims to advance knowledge and expertise in how data can shape the next generation of public & private services, and create economic growth. As part of this programme, ODI are researching data driven public services (https://theodi.org/project/research-and-development-new-service-delivery-models/) and working with local government to develop tools to enable local governments to develop services with open data. Miranda's background is in iterative development and design. 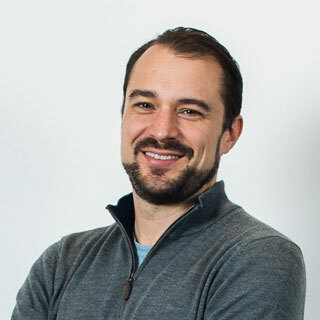 Jason is a Research Partner at ScaleUpNation, working on the critical factors that lie be-hind scale-up success & creating software tools to help CEO’s. He is also currently work-ing on a social media/data documentary for BBC Radio which airs in June 2018. 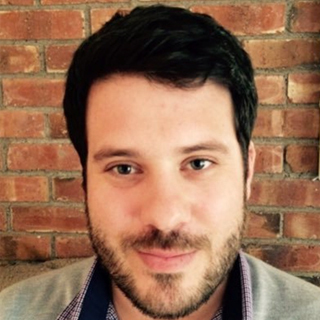 Jason also advises tech start-ups, scale-ups and corporates and is a mentor with Plug & Play Tech Center. Jason was also co-founder and ex-CEO of Blurrt - a social media data intelligence and content company. 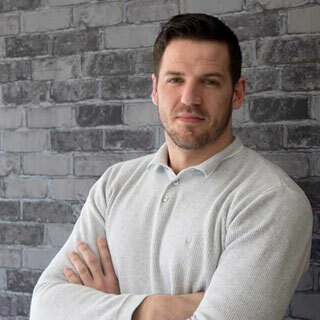 Jason built a successful software start-up from a concept to an award winning business, working with Global clients such as Twitter, Turner, BBC, Sky and World Economic Forum. Under Jason’s leadership Blurrt became the first in the UK to do real time Twitter reaction to a live political debate. Jason was recognised by TechCityInsider as one of the top 200 tech entrepreneurs in the UK and has featured in the The Memo and Forbes on using social sentiment to predict elections. Prof Richard Tiffin is Chief Scientific Officer for Agrimetrics Ltd, and Professor of Applied Economics at the University of Reading. Launched in 2015, Agrimetrics has built a data platform to support a transformation of the sector and its use of data. Agrimetrics is a not-for-profit founded by the University of Reading, Rothamsted Research, SRUC and NIAB. The Agrimetrics platform provides the infrastructure that companies in the sector need to fully unlock the value in their data. The linked-data as a service which the platform provides makes it easy for businesses to contextualise data using third party sources, and to access and generate insights that are impossible when they work in isolation. The approach is to put the data user at the heart of the process so that analysis and visualisation is driven by use cases. Richard read Agriculture at the University of Newcastle and completed a PhD in Agricultural Economics at the University of London. He lectured in Agricultural Economics at Newcastle and Durham before joining the University of Reading in 2006. 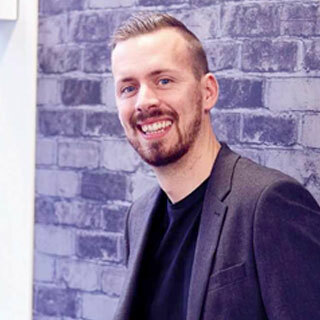 Martin is the co-owner and CSO of Mango HR, a rapidly growing team of HR and change professionals who specialise in supporting scaling tech firms with all things people. From out-sourced HR to leadership coaching, culture development to non-commission in-house recruitment, Mango are actively disrupting the HR and Recruitment sectors with their 3 refreshing and innovative services, HR4Tech, Recruit2Retain and Revolution. 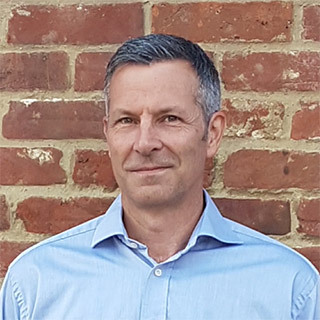 As a Supply Chain Director and leader of large teams by trade, Martin has worked at a high level in multiple industries including Retail, Manufacturing and Distribution, and has a proven track record of driving transformations in organisations. As a specialist in culture, change, strategy and leadership, he now works closely with a number of tech firms across the UK to help them navigate growth in a successful and sustainable way. 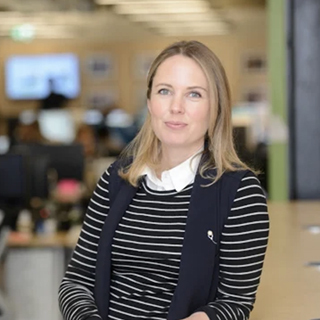 Sarah is the CEO and founder of Mango HR, a rapidly growing team of HR and change professionals who specialise in supporting scaling tech firms with all things people. From out-sourced HR to leadership coaching, culture development to non-commission in-house recruitment, Mango are actively disrupting the HR and Recruitment sectors with their 3 refreshing and innovative services, HR4Tech, Recruit2Retain and Revolution. With a long and successful career in HR covering Retail, Manufacturing, Public Sector, Not for Profit and Tech, Sarah is on a mission to disrupt traditional HR and Recruitment. By challenging the status quo, she continues to help ambitious tech firms to scale at pace with the aid of proactive, cutting edge people strategies that embrace both tech and new ways of working. After a successful period of consulting, Sarah is now building a team of like-minded, highly experienced professionals who rebel against traditional HR and recruitment, and are now working in partnership with multiple tech firms as Mango’s brand of disruptive HR is taken across the UK. Jo is Head of Engagement, responsible for sharing the Innovation Point message with the innovation market across Wales and beyond. She is also responsible for the Digital Festival Conference and Expo and the monthly Digital Tuesday events. Jo comes from a background of 18 years in media sponsorship sales with the Capital Radio Group and GCap Media managing regional sponsorship, promotions and interactive teams, followed by a healthy dose of international conference sponsorship sales and marketing with US based IQPC in Sweden and Berlin as Sponsorship and Exhibitions Director. On returning to Wales she was responsible for the brand launch of the new .cymru and .wales domain names for registry operator Nominet. 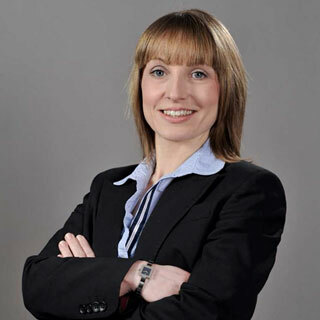 Dr Kerry Beynon is a solicitor-advocate with higher rights of audience in both the civil and criminal courts. Specialising in data protection, information technology law and intellectual property law, she acts for a range of commercial entities and public bodies. Before entering legal practice Kerry taught IP and contract law at a British university and has delivered training nationally and internationally on intellectual property and data protection to professionals, international corporations and public bodies. A member of the Chartered Institute of Arbitrators, she also holds the EU GDPR Practitioner qualification. SPECIFIC aims to address the challenge of low carbon electricity and heat by enabling buildings to generate, store and release their own energy, in one system, using only the energy from the sun, a.k.a Buildings As Power stations. This is aided largely by the development of technologies which enable Smart Homes (or Smart Buildings in general) to become more interactive through the use of enhanced data capture, analysis and utilisation. Chris works with businesses to maximise the potential of this significant research and development, through collaborative activity and engagement across all their core research themes. These include Solar PV, Solar Thermal, Battery Storage, Thermo Electric Generators, Diurnal & Inter-seasonal Heat Storage, Electrical systems, Buildings integration and Design and much more. SPECIFIC also has several state of the art Active buildings, including the Active Classroom and the Active Office. Each has been designed by SPECIFIC to incorporate the latest renewable energy technology and management systems, to show the art of the possible in this space. Professor Ann John’s research focuses on epidemiology and prevention of common mental disorders, suicide and self harm. She chairs the National Advisory Group to Welsh Government on Suicide an Self harm prevention. 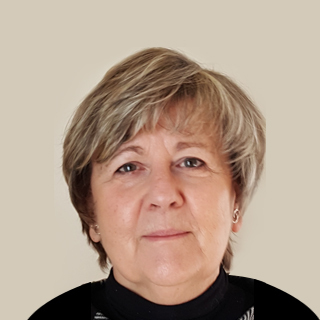 Professor Ann John’s background is public health and primary care, and she is an honorary Consultant in Public Health Medicine with Public Health Wales. Christine Hemphill is the co-Founder and Managing Director of Open Inclusion. Open is a London based agency that works with organisations to improve the inclusion of customers and employees with access needs and catalyse awareness and innovations that improve the experience for all. 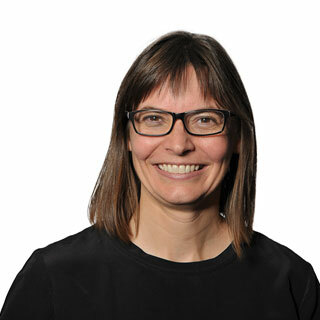 She leads a team including user researchers, digital, customer service and workplace access consultants and accessibility trainers aligned to role types. She has a diverse background that includes making and improving products and services in digital, physical and customer service environments across a range of industries. For a short while she even had a great time travelling the world as a professional triathlete for Australia. Now her energies are focussed on providing a fairer and more enjoyable environment for all, including those with disabilities. As a Systems Architect and Tech Lead at Bangor University Carwyn is usually to be found hands on with large scale complex IT infrastructure projects. Two years ago though Carwyn co-founded North Wales Tech, a voluntary "Technology and Developer Community for North Wales" which has since grown to over 500 members spanning every county in North Wales. Through monthly tech talks and workshop events the group builds community connections, provides skills development opportunities and advocates on behalf of the tech sector in North Wales. 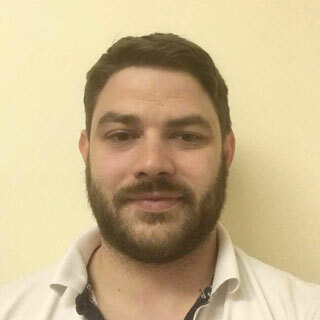 In April 2018 Carwyn joined ESTnet part time as their new North Wales Regional Manager to bring a more strategic aspect to the tech sector development in North Wales, a complement to the grass-roots work of North Wales Tech. Carwyn is also a Director of the Ynni Lleol Cyd Ynni Cooperative, a first of it's kind in the UK energy cooperative which has smart meters deployed in over 100 homes in the Ogwen Valley. The cooperative is collaborating on a number of smart energy projects. Mark Bentall has been working for Airbus for 20 years and is currently Head of Technology, Development and Innovation for Airbus Defence and Space – Engineering, consolidating and coordinating the divisional product portfolio and R&D plan for the ExCom and providing independent technical insight. His mission is to secure ADS continuous improvement in competitiveness and ability to develop business through self/co-funded maturation of relevant technologies and innovations. Secures that ADS is recognized vis-à-vis customers and across industry as innovative & technologically advanced business partner. Protects Airbus DS’s Intellectual Property Rights (IPRs) to enhance competitiveness. His key responsibilities involve chairing the R&D Council, consolidating the ADS-wide product roadmaps / portfolios and R&D business cases. Enables/enhances future products and product features by implementing successful transition of technologies. Maximizes company R&T activities by appropriately leveraging external technology funds, global partnerships and other Airbus projects. Maximizes R&T activities by leveraging global technology partnerships & co-operations while increasing visibility of ADS footprint in export countries. Defines, together with Programme Lines, a cost-efficient and effective ADS R&T demonstrator portfolio and manages transverse innovations and the corresponding portfolio of incubation and demonstration projects. 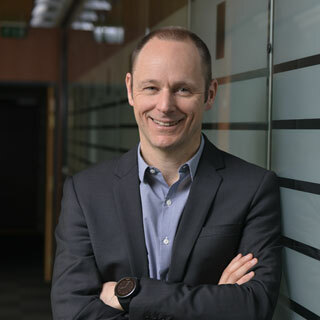 In previous roles Mark was head of the Group Innovations Research Centre for Communications and Automatic Flight, responsible for Airbus group-wide Communications Roadmap and created and ran the Airbus Defence & Space Technical Office. Mark is a Board Member of Innovation Point, supporting SME’s accessing research. 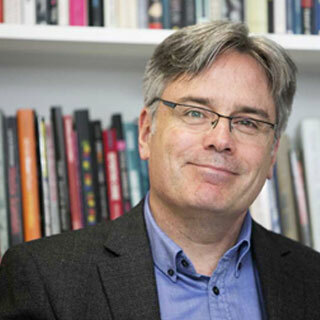 Stuart Allan is Professor and Head of the School of Journalism, Media and Culture at Cardiff University. 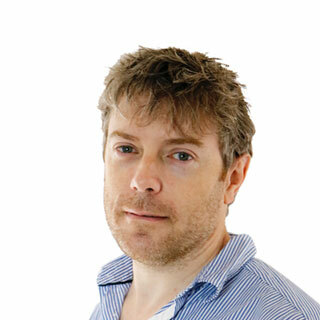 He has published widely on a range of issues concerning digital journalism, with a special interest in news imagery. His most recent book is the edited collectionPhotojournalism and Citizen Journalism: Co-operation, collaboration and connectivity (Routledge, 2017). Following 7 years in the commercial HR sector with Kenexa and IBM, in 2015 Andrew founded SaluteMyJob, a Social Enterprise providing advisory, managed recruitment and training services to employers and employment support to transitioning and former Service men and women. SaluteMyJob is supported by IBM and a number of Service charities, including ABF The Soldiers' Charity, The RAF Benevolent Fund and Veterans' Scotland. Andrew joined the Army for 5 years and stayed for 35. He followed his father and grand-father into the King’s Own Scottish Borderers and served in Northern Ireland, Germany, Hong Kong, Iraq and various UK postings. He achieved his ambition to command his Regiment in 1996. Highlights of a varied military career included a tour as a helicopter pilot, exercises in Kenya, US, Australia, Denmark and Brunei and multiple tours in Northern Ireland. He also spent 3 years on the Operations staff in the Ministry of Defence. In his last appointment, he spent 4 years as Director of Army Recruiting, helping to improve performance with the good practice and capabilities available in the private sector. 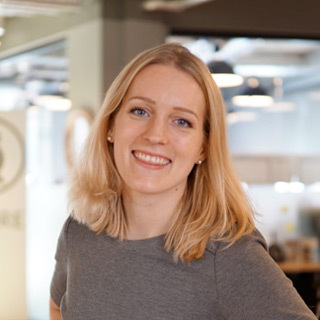 Imogen co-founded Qadre in 2016 with the intention of bringing trust to the digital world through blockchain technology - by collaborating with a cross-section of industries, government bodies, and regulators. 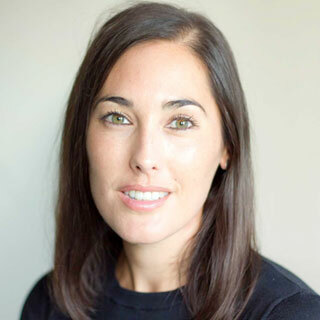 Prior to this, she co-founded blockchain consultancy Zerado, alongside providing an executive lead for projects and operations for its subsidiary company Disberse; before this, she project managed the world’s first significant financial blockchain project, authored the influential Welsh Government’s technology SME investment report, and led operations and projects as part of the senior leadership team at Ariadne Capital. 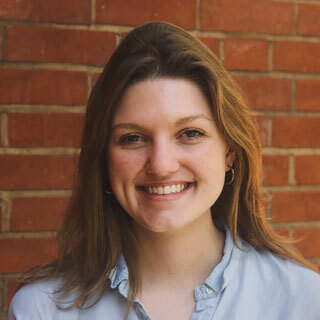 Imogen brings a passion for operational efficiency and economic empowerment, believing a collaborative, international, technically-aware approach needs to be employed to enable transparency and success in the evolving economic landscape. 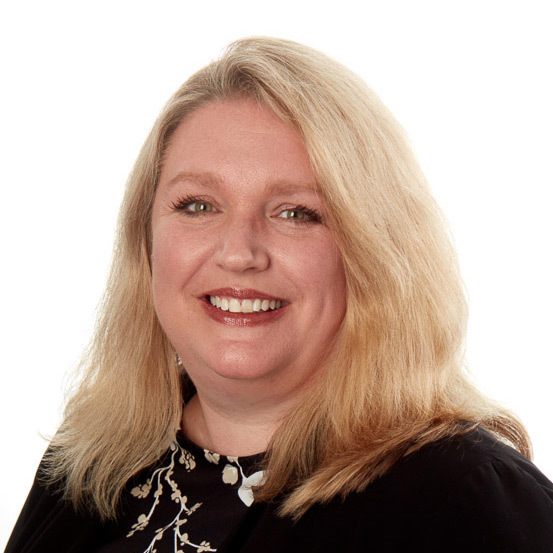 Rachel Baiden is the Global Technology Training Manager for Squire Patton Boggs and has over 18 years’ experience in the technology training industry. Rachel is one of the founding members of LTC4 and serves on the board of directors. LTC4 is a not for profit membership organization and was founded 7 years ago by training and IT professionals in the UK and US to address the skills gaps which exist within the global legal industry. LTC4 have established a set of legal technology core competencies and certification that have become the industry standard for both lawyers and support staff. The LTC4 Core Competency Learning Plans are workflow based and are ideally suited to improving skills across a range of applications on the modern desktop, skills which are increasingly demanded by clients. Rachel prides herself on finding new and innovative ways to revolutionize the delivery of training to ensure lawyers are using technology in the most efficient way. Rachel has successfully managed the Technology Training team on a number of global rollouts, using a blended learning approach. The programmes consist of eLearning and a virtual classroom with break-out labs so individuals can undertake practical hands on tasks. This has been a revolutionary approach to the legal technology-training arena. 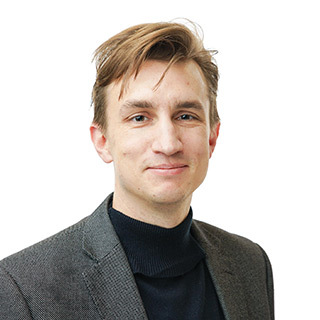 Matt Steel is a statistician at the UK’s Office for National Statistics (ONS), where he leads on the acquisition of data for the Sustainable Development Goals (SDGs). 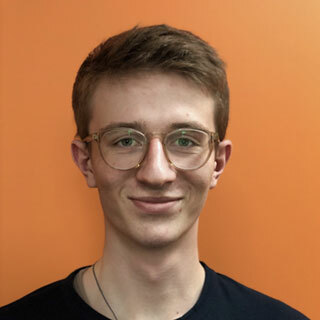 As part of his role he oversees the open source reporting platform which was developed with the Data Science Campus to ensure everyone can see the UK’s progress towards achieving the global goals. Steven is co-founder and CEO of 9fin, a fintech startup that provides AI powered financial data for the bond market. 9fin uses machine learning and computer vision to extract key information from financial documents. By making data easy to search, filter and analyse, 9fin allows financial professionals to make better investment decisions. Before founding 9fin Steven worked as an Investment Executive at Babson Capital Management covering the European High Yield Bond and Leveraged Loan market. 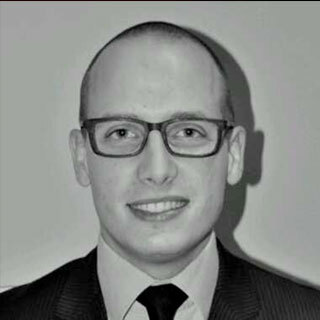 Steven has also worked previously as an Analyst in the Leveraged Finance team at J.P. Morgan in London. He graduated from the University of Bristol with a first class honours degree in Law. Iliana is the head of innovation for National Grid Electricity Transmission Owner, responsible for the delivery of innovation across National Grid. Iliana joined National Grid in 2014 as a condition monitoring specialist before moving into the innovation team in 2015. Previously, Iliana was the operations director of the Power Networks Demonstration Centre at the University of Strathclyde. 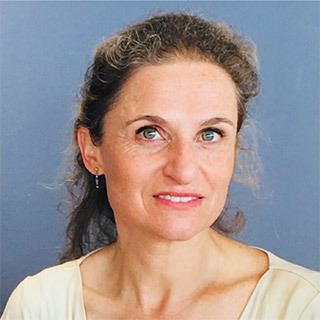 Iliana graduated from the University of Bath with a MEng in electronic and communications engineering in 2001, where she also obtained sponsorship from National Grid for her PhD to develop a system for the location of partial discharges using antennas (2004). She then moved to the University of Strathclyde, where in 2007 she spun-out the technology into Elimpus Ltd. In 2010 she went to work as a sensor laboratory manager and senior project manager for the Electric Power Research Institute in Palo Alto. Andy was appointed Chief Business Development Officer of the Compound Semiconductor Applications Catapult in February 2017. The Catapult is a £50m non-profit research and technology organisation located within the world’s premier compound semiconductor cluster in South Wales. 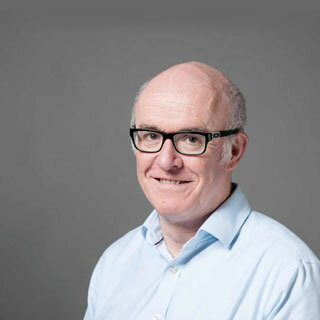 Andy developed the Catapult’s strategy and business plan for HM Treasury following a 2-year consultation with industry, government and academia. Andy was chosen to join business leaders during recent round table discussions with the Prime Minister. He has represented the Catapult on international delegations to Taiwan and joined the Secretary of State during the GREAT Festival of Innovation in Hong Kong. 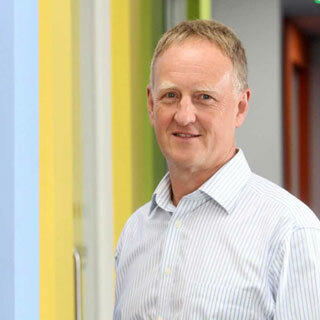 Andy joined the Catapult from Innovate UK, where he delivered £15m of strategic investments in electronics, smart materials and compound semiconductors. Andy’s early career was spent leading R&D teams with Rolls Royce, Spirent PLC and Abbott Diagnostics. He also set up an events management company, and was prime consultant on film and TV lighting for James Bond and Sky News. 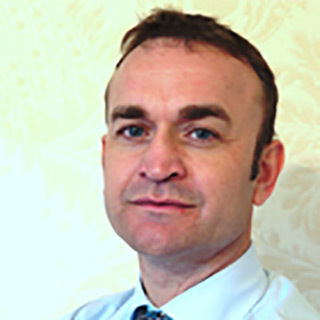 Andy holds an Executive MBA from Glasgow University and a Doctorate from Strathclyde University. Paul heads up a technical team at the world’s largest nursing union and professional body. 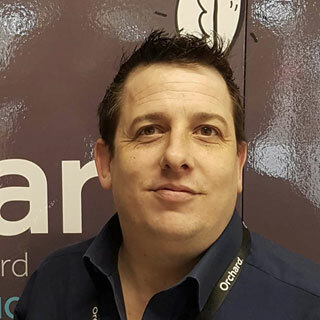 Paul has over 17 years experience in a senior IT position and has been heavily involved in transforming organisations through designing, managing and implementing technology. Paul has undertaken numerous organisational change programs and recently delivered a successful digital transform project incorporating an award winning website for the Royal College of Nursing. Paul has a strong background in the Health Care sector but has also worked in education and media, and has a very strong interest in using technology to drive change and provide opportunity. Quan Le has over 20 years experience in high finance, technology and commodities. 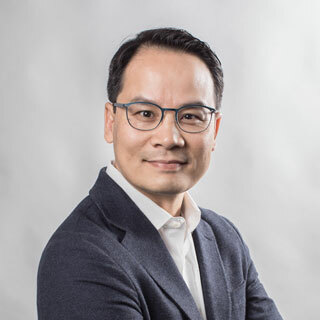 Grew up in Vietnam and educated in Australia, Quan spent over 10 years in Hanoi, Sydney and London, advising global financial services groups in complex financial products (e.g. derivatives) and strategy. In 2011, Quan founded growmoreX, a agriculture technology firm bringing proven crop know-hows from Asia to Africa. He pioneered drone technology in Africa that led to massive improvement and adoption in land survey, water engineering and crop monitoring, all essential for Africa to grow more food. Binkabi was born out of this unique confluence of real-life experiences and the need of commodity supply chain players in emerging markets. Quan invented Barter Block protocol, designed Binkabi platform and its crypto-economics framework. Quan holds master’s degree in applied finance and still walks the fields of Africa and Asia. Antonio Giungo is the CEO of Recruitd and Recruitd Social, Recruitd is a social careers network that provides all parties in the professional ecosystem an easier, faster and more reliable way to work together. Recruitd social is a creative employer-branding agency that helps companies build, nuture and hire communities of talent through social media. 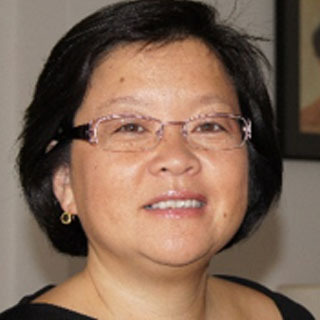 Irene has devoted over 20 years to multidisciplinary applied technology research across the fields of robotics, high-value manufacturing, the Internet of Things and, more recently AI and blockchain. Globally, industry large and small is going digital, and with a background in social science, economics and architecture, and a long-standing passion to understand the complex relationships underlying societies, technologies and continuously evolving physical and digital environments, Irene is well positioned to navigate this brave new digitally driven world. Well learned in the world of innovation intermediaries having worked in the Digital Catapult for over 4 years. Advocate of tech for good and Co-Founder of GivingStreets. Currently Director of Partnerships and Business Development for DEX, enabling the data community to better people’s lives through safe and secure data exchange and contributor to Ocean Protocol Foundation. Irene mentors @Startupbootcamp IoT, @IoT Tribe, enjoying the challenge of giving back. 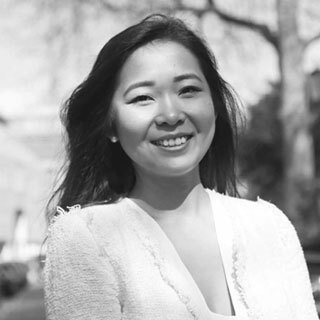 Alexandra Cheung is a Senior Strategist at Cruxy & Company, specialising in commercial strategy for complex technologies. Her expertise include ICOs & Cyber Security, challenging businesses on the strategy behind their international expansion, new market entry & pricing. She has worked with the largest blockchain consortium in the world, helped to shift a hospitality-tech firm’s conversion rate by 50%, as is named in Rise’s ‘Women In Finance Power 100’. She has an entrepreneurial background, helping to expand an import export business from Hong Kong to Mainland China, and trading stocks since a young age. This ambition drove Alexandra to build a business first hand at CRUXY. From living in 5 cities across 3 continents, speaking fluently in 3 languages, Alexandra proved herself to be a force to be reckoned with globally. Her network expands from the US to Asia, and is built of FinTech leaders, from CEOs of ambitious tech firms to investors & incubators. Her rigorous approach has led her to become a thought leader across the board, having worked & written on numerous topics, from Insurtech to Robo-advisory. 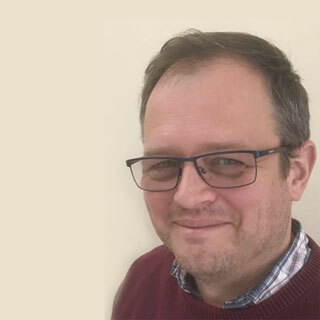 John Davies is the Managing Director of Pervade Software, an award-winning independent software vendor with strong roots in the capital of Wales. 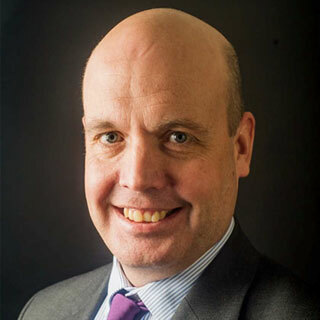 John is a Welsh speaker and is also the Co-founder and Chair of the South Wales Cyber Security Cluster, the largest cluster of its kind in the UK, pro-actively supporting the UK National Cyber Security Strategy to make the UK the safest place to do business in cyberspace. John is a member of the Executive Committee of Airbus Group Endeavr Wales, a joint venture between Airbus, Welsh Government and Universities in the role of Small Business Champion and is committed to helping to close the skills gap in cyber security by participating on the Curriculum Advisory Boards of both the University of South Wales and Cardiff University and regularly runs sessions for the National Cyber Security Academy. He is a certified GDPR Practitioner has recently been invited onto the Steering Committee of the GDPR Alliance committed to ensuring that businesses are aware of and compliant with the new EU data protection laws. Leveraging his military background, John plays an active role in helping military personnel and their families as the Chairman of the Regional Employer Engagement Group for the Armed Forces in Wales as well as raising money for armed forces charities through his passion for cycling. 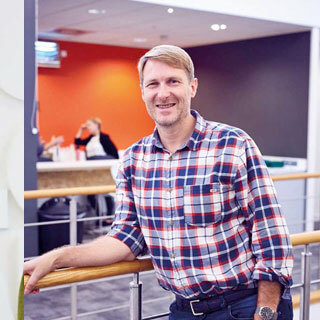 Now co-Founder and COO of HealthyHealth.uk, I was previously the Chief Digital Officer of April Group, the 1st Master broker in France where I entered into the insurance space with e-commerce and digital transformation challenges of the insurance sector. Before I was on a cycle of C-Level positions in Kering/Redcats/La Redoute to develop international management skills and an in depth knowledge about e-commerce while contributing to the transformation of mail orders companies of the group : CEO of Castaluna (Europe plus size women apparel), CEO of Redcats Swiss/Germany/Italy/Austria, SVP e-commerce La Redoute, CDO Redcats Group. My background is 5 years of consulting (E&Y and The Boston Consulting Group), A business school (ESSEC) and an IT background (with a specialty in IT applied to Health)… the fits very well with my current role at HealthyHealth! Expert in Blockchain technology, Fintech, creation of Blockchain protocol, mobile and desktop decentralized applications, cyber-security researcher, expert in Digital Identity and corporate software, as well as software development. European Blockchain Solutions is a company specialised on offering peer-to-peer solutions focused on scalability and client needs. European Blockchain Solutions offers services for small-medium businesses that want to increase their cash flow with a focus on cybersecurity and transparency using distributed ledgers. He collaborates in more that 10 Fintech companies including AI, IoT and Blockchain technology as consultant, developer or software architect. 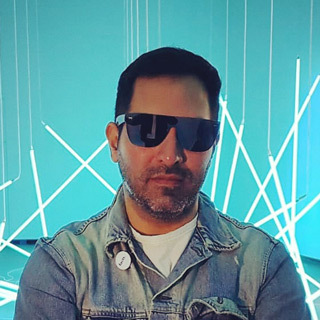 Mr. Roldan has a wide background in peer-to-peer protocols with a great combination of flexibility, efficiency and dynamic service integration, which makes him a Blockchain intellectual. Consentric, a cloud based GDPR Regtech solution developed by MyLife Digital which enables organisations to rebalance control of personal data between an organisation and the individual. J is an advocate of informed insight by rethinking personal data and has been recognised in this year’s DataIQ 100. J has a wealth of management experience gained from various leadership roles in the commercial and not for profit sector. As a business owner, he has sought to transform the marketing services sector and his entrepreneurial spirit remains at the heart of his approach. His rich understanding of Big Data, Analytics and Data Governance enables him to provide innovative solutions to marketing and operational challenges. A freelancer currently working in various sectors UK wide including digital, start-ups, social impact, engagement, culture, sustainability - an educator, creator of opportunities and supporter of people. 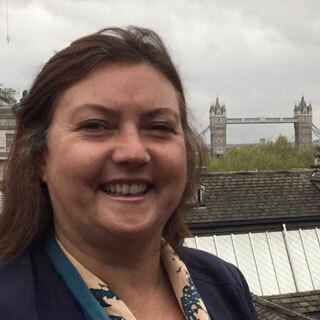 Having moved to South Wales from London at the beginning of 2016, I am immersing myself in all that Wales has to offer, connecting, collaborating and developing projects. 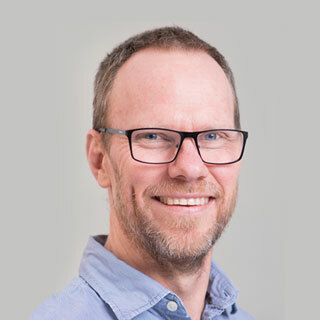 Andy's interests focus on environments, systems, processes, methods and behaviours that engender the productive inclusion of subject matter experts within multidisciplinary, collaborative projects. He applies design strategically to foster collaborative relationships between businesses, academics, students and end-users. As founding Director of Arloesi Pontio Innovation, Bangor University, he collaborates on projects that address complex local challenges and align with global opportunities. Thus supporting Bangor University in it’s pivotal role at the centre of regional economic regeneration in North West Wales. 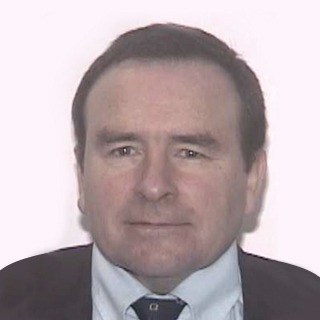 He has developed socio-technical system architectures and processes, through which he initiated and developed Enterprise by Design and established Bangor as a member of elop; an alliance of academics from globally leading universities - Cologne (Germany), Geneva (Switzerland), Politecnico di Milano (Italy), Technologico de Monterrey (Mexico) and Stanford (US). 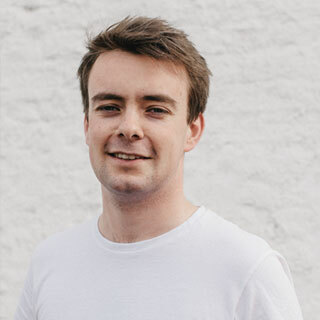 Dafydd has 16 years experience of working in the cultural and learning sectors, including nine years leading teams with responsibilities for software, exhibition technical production, digital content and collections, e-commerce, social media and more. Dafydd is the Chair of the Museums Computer Group, which is the UK network for museum, gallery, archive and higher education professionals who work with museum technologies and digital heritage. He is also a member of the Programme Committee for the Museums and the Web international conference and presents at a range of conferences. 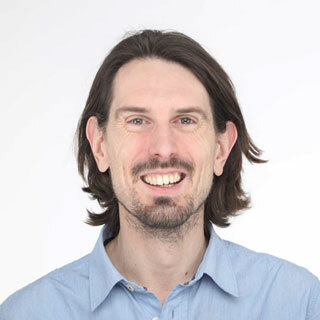 Marko is a creative technology leader with over 20 years’ experience developing innovations in academia, corporations and start-ups in both the UK and US. A key part of his role is to drive innovation by bringing together expertise from the creative, research and development fields and to ensure the Digital Catapult remains at the forefront of key trends and emerging technologies. Marko has been instrumental in bringing several new technologies to market including the first betting exchange. Most recently he worked at a startup, State, to launch a digital global opinion network. Formerly, he was head of innovation at lastminute.com, where he led the design of an array of award winning mobile apps. 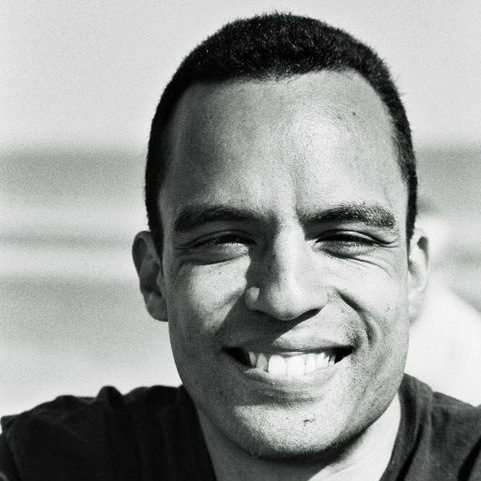 Marko studied Computer Science at Cambridge University, has a PHD from Stanford and is also a non-executive director at NHS Digital. 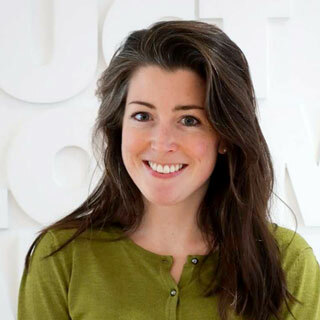 Kirsty is the Investment Director at leading equity crowdfunding platform Seedrs. 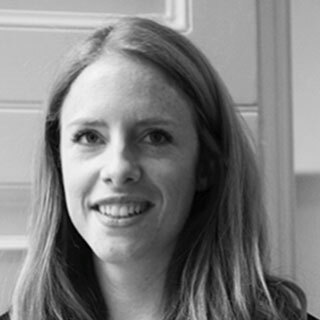 A corporate lawyer by background, Kirsty left Freshfields 3 years ago to join the Seedrs investment team. She now heads up the team responsible for selecting and screening investment opportunities and assisting entrepreneurs through the fundraising process. 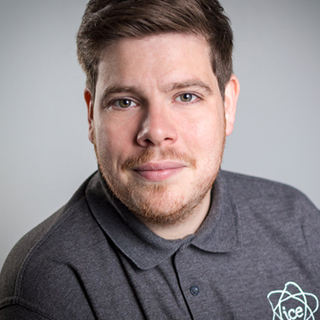 Daniel is CEO of a digital forensics & cyber-physical incident response Software Company based in Cardiff called Awen Collective Ltd. He cofounded Awen Collective after a 2.5 year stint as a Senior Research Fellow in cyber-security & digital forensics at the University of South Wales. 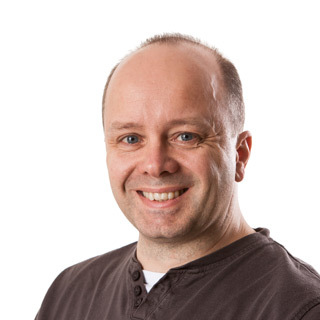 He has a very varied background - including a mixture of professional technical roles as varied as semantic web & linked data technology evangelist, open data consultant, software engineer and web developer. His first start-up was a non-profit company, which ran a series of unconferences on computational intelligence. His academic background is in Intelligent Systems, particularly those applied to data mining on spatio-temporal data from physical security systems. 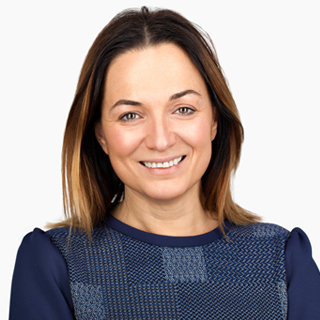 With a breadth of experience in Investment Banking and InsurTech, Patrizia spent several years in Investment Banking before co-founding Domotz, an award-winning remote network monitoring and management solution. She is also Head of Business Development for Fing, which develops network scanning, cyber security and Wi-Fi troubleshooting tools built for the Internet of Things in the home and small businesses. She has been appointed in March 2018 top ten Insurtech female influencers by The Insurance Institute. Welsh ICE is the first campus for enterprise in Wales. We are currently home to 200 businesses across three buildings. If someone is looking to get something started or explore a new idea we offer a desk or office space, mentorship, training, access to experts and as much tea and coffee as they can drink. Our objective is to help businesses start, grow and prosper. I manage the overall Campus, all 30,000 sq ft of it! This includes recruiting new members and mentors to join our community, organising workshops for members and leading our team of staff. I also work with the rest of the board to strategically steer the centre. At lunchtimes, I often play Street Fighter 2 on the Campus' mini-snes inreception - though I generally button bash my way to victory. 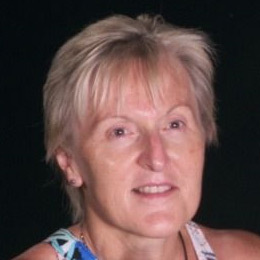 For more than 20 years Joanne Humber has delivered IT training programmes to law firms and corporate legal departments across the world – initially through her own company and for 8 years as Director of Training for Phoenix Business Solutions. Since leaving Phoenix in 2015 she has worked as an independent consultant, actively promoting the Legal Technology Core Competency Certification Coalition (LTC4). LTC4 was founded 7 years ago by training and IT professionals in the US and UK to address the skills gaps which exist within the global legal industry. Joanne’s experience of working with law firms of all sizes clearly demonstrated the need to improve technology skills in a way which is relevant to the way they work, with whichever software or devices they choose to use laptop, PC, smartphone or tablet and wherever they may be based. The LTC4 Core Competency Learning Plans are workflow based and are now recognised as providing an industry standard for both lawyers and support staff. They are ideally suited to improving skills across the range of applications on the modern desktop, skills, which are increasingly demanded by clients. Ben is a social entrepreneur with experience and expertise within international development. He is the Founder & CEO of Disberse, a fund management platform that drives the transparent, efficient and effective flow and delivery of development and humanitarian aid, built on blockchain technology. Ben was formerly a Global Advisor at SNV Netherlands Development Organisation, leading a $30 million project portfolio, primarily across sub-Saharan Africa, whilst developing global strategy. He has also led UK charitable trusts and foundations, and invested in a number of early stage social enterprises, both in the UK and internationally. 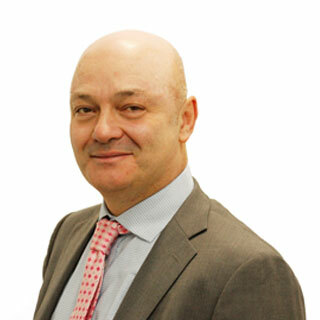 Julian is the Managing Director of Delsion Ltd, a people and development consultancy based in Cardiff. Within it’s work Delsion covers HR, Learning & Development and Diversity & Inclusion for a range of organisations from SME’s to governments. Julian’s career within these areas spans 25 years at a senior level and he’s been fortunate to be involved with achieving world class results in some of the largest and most successful retail organisations in the UK and Europe. The social goal of Delsion is to make Wales a leading nation for diversity and inclusion in the workplace. In August 2016, Scot Gardner was appointed UK & Ireland Chief Executive of Cisco. 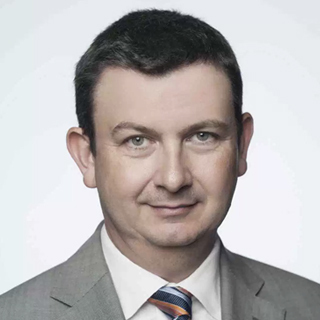 Prior to his current role, Scot was Vice President of Global Service Provider Segment Sales at Cisco in the Europe, Middle East, Africa & Russia (EMEAR) region. The Global Service Provider segment represented one of the largest and most dynamic markets for Cisco in the region, spanning telecommunications, mobile and cable operators, broadcasters and content providers, as well as cloud and managed services providers. Scot has over 25 years of experience in the Oil & Gas industry, consultancy and technology start-ups. Since joining Cisco in 1997, Scot has held roles in sales, sales management and business development. 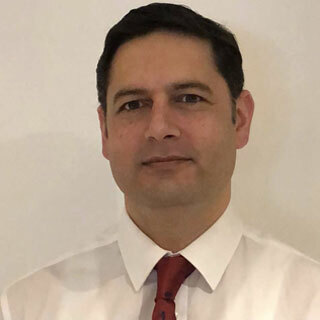 For the past 11 years, he has held Director and Executive level sales roles in Public Sector, Financial Services and, more recently in Service Provider, including leading the British Telecom account team. He is a pioneer for collaboration, leading teams to succeed in complex market environments. Scot holds a Masters degree in Engineering from Birmingham University, an Honorary Doctorate from Buckinghamshire New University and is an Alumni of the Stanford Graduate School of Business. Head of Space Research and Development for Airbus and Space in the UK. 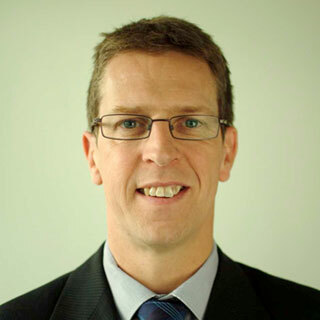 Chris is currently Head of Space Research and Development for Airbus Defence and Space in the UK, dealing with technology strategy and policy aspects. 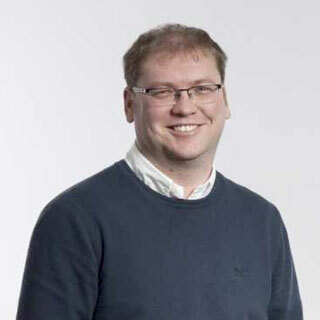 Previously Chris was Head of Payload Engineering for EADS Astrium in Telecommunication Satellite business unit, responsible for all payload engineering groups and activities. Responsibilities have included management of over 150 payload engineering staff located on Stevenage, Portsmouth and Toulouse sites. Telecommunications is a globally competitive market place, requiring constant effort to remain commercially competitive. The payloads built in Portsmouth cover, DTV, mobile, multimedia, fixed services, navigation, and military geostationary communications. Major customers include Eutelsat, SES, Inmarsat, Intelsat, Avanti, ESA and MOD. The payload engineering activities include payload related R&D and improvements and proposals. During projects the work included detailed payload design and performance management followed by detailed implementation and validation activities. Detailed validation activities continue through the satellite AIT activities and through to In-Orbit test. Andy is Principal Director for Artificial Intelligence at Accenture Digital with a focus on Innovation, Strategy and Delivery across all Industry sectors. Founder of the Informed.AI Group - The AI Knowledge and Community Platform, which includes the Annual Achievement Awards for AI and Neurons.AI, the Professional Networking for AI Practitioners. An International speaker, author and thought leader on the topic of Artificial Intelligence, and in 2017, he was listed by IBM Watson in the Top 30 AI Influencers globally. Also an Expert Advisor to the British Government’s All Party Parliamentary Group on Artificial Intelligence. Previously worked at Credit Suisse, most recently in the Risk and Finance IT department. Andy setup and led the firm-wide working group for Machine Learning. He also worked at Merrill Lynch and has experience within Prime Services, Equities and Debt Technology. 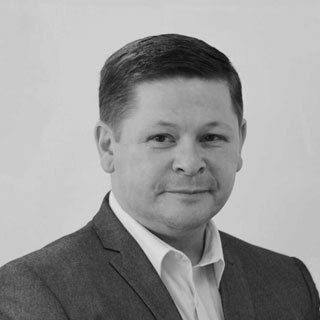 In addition to the Financial Services, Andy has worked as CTO, CEO and Chairperson in the Retail FMCG (Retail E-commerce and Supply Chain) and Media (Multi-media Asset Protection / Network Security) sectors. 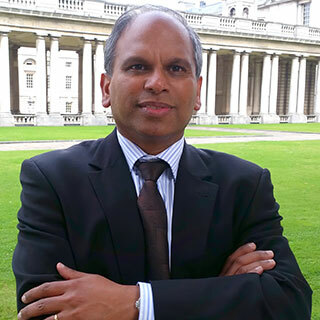 He has three degrees from Warwick University (BEng, PhD, MBA) and is an Associate Fellow of the Warwick Business School. Stephen is leading the Next Generation Services programme as part of the Industrial Strategy Challenge Fund. This programme is aimed at supporting the transformation of our Accountancy, Insurance and Legal Services sectors by the responsible use of AI and data. Prior to this role, he headed the organisation’s Enabling – Digital team and the SBRI programme. 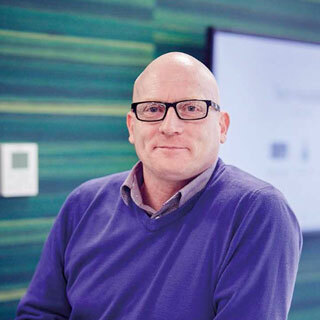 Stephen has a background in the semiconductor industry, having spent nearly 20 years working for Philips Semiconductors and NXP where he held various software engineering, project management and business management roles. During this time, he formed close collaborations between customers and supplier to deliver open R&D programmes. Angel investor, advisor and consultant to technology startups and their growth ecosystem. Maria works primarily with B2B startups, and more specifically, those where corporate partnerships are key to executing the growth plan. 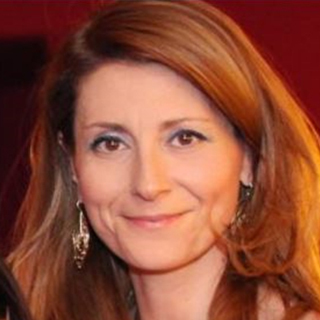 An active business angel, she recently joined the Jury panel for the European Commission’s H2020 SME Instrument. 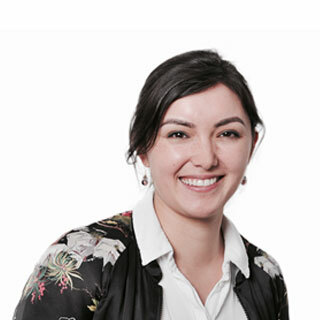 Maria is a Member of the Institution of Engineering and Technology (IET) and serves on the IT & Communications and the Built Environment Panels, where she focuses on entre/intrapreneurship and how to foster innovation and change in physical industries. A dual Spanish/French national, Maria has also lived in the USA, Belgium, and for the last 13 years, in the UK. She holds a BSC (Honours) in Electrical Engineering from Columbia University, a MS in Electronics from Telecom ParisTech, and an MBA (Honors) from ESSEC. Tina is founder of Collider Health, a health innovation catalyst that works with organisations of all shapes and sizes to think and do differently and transform health with meaningful impact. 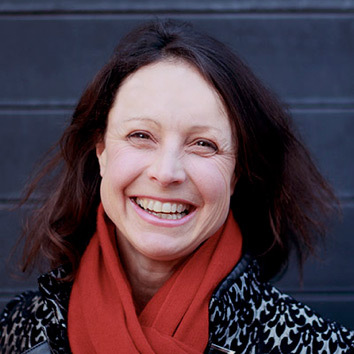 Tina is chair of Future Health Collective, a multi-disciplinary, cross-sector group geared to foster collaboration and radical innovation in areas of unmet need in health and social care. Tina is an ecosystem architect and builds collaborative networks to help corporates, start-ups, third sector and investors form strategic partnerships and new ventures. She has established relationships with leading incubators, accelerators, investors, digital health start-ups, clinical innovators and tech corporates. Before founding Collider Health Tina spent many years in the agency world, helping big pharma and other healthcare corporates educate doctors and create awareness around new drugs, treatments and diagnostics. She also is health expert contributor for D/SRUPTION, and runs ColliderSCIENCE, a social enterprise to inspire your people in science and technology and equip them with the creative skills for the future. She sits on the Gender Equality, Diversity and Education Committee of Imperial College Department of Computing and is involved in Imperial's national 'Women in Computer Science' initiative to encourage more teen girls to study maths and take up careers in computer and data sciences at a time when the UK aspires to be a global leader in artificial intelligence and other critical technologies. Senior executive with more than 25 years experience in building, launching and managing multinational enterprises in the EU and Globally, primarily in the TMT and more recently the Fintech services sector. 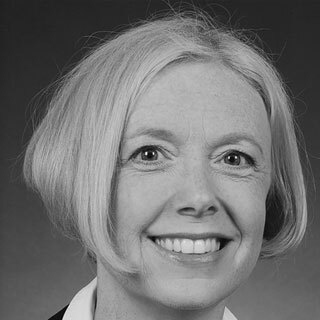 She was the Alliance Director, Mergers & Acquisitions Europe for BT plc (British Telecom); she implemented the expansion strategy in continental Europe to set up nation-wide telecom operations taking the Programs from investment /business case through Joint-Ventures with local partners; to full implementation of the operation. Senior Vice President Europe South and Mediterranean region and CEO France for Telindus, the ICT company of Belgacom and member of the Group Executive Committee. 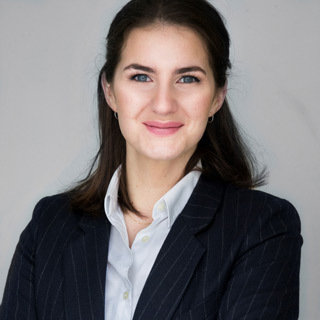 Victoria is an investment committee member of Swiss investment fund Go-Beyond Investing, Rising Tide Europe and advisor to several TMT and Fintech multinationals on strategy, change management, Digital transformation, multicountry services launch and operational efficiency. She is the international Board member of Global Telecommunications Women’s Network the international forum for executive women active in High Technology to contribute to the evolving global information society in a positive manner together with the IFA and of Global Board Ready Women. Elin initially qualified as a Children’s nurse at Great Ormond St Children’s Hospital, going on to gain a BSc (Neuroscience) and MSc (Research Methods). 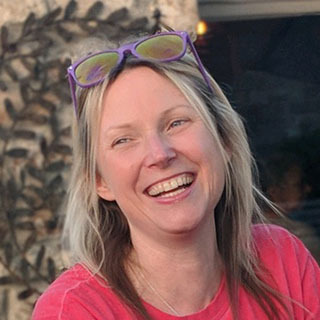 After years of recruiting children to clinical trials Elin embarked on a PhD at the Institute of Child Health (UCL) to develop a clinical outcome measure and biomarker of ataxia in children with neuro-metabolic disease. Elin was part of the paediatric team at the European Medicine Agency from 2007-2013, responsible for implementing the Paediatric Regulation in Europe. She has a personal interest in empowering children to become involved in the health / research agenda. In January 2015 Elin launched her own company, Aparito. Using wearable technology and mobile phone apps to monitor disease progression and patient well-being in real-time. The company now has studies running in the UK, India, America, South Africa and Germany. She played rugby for Wales A for seven years before embarking on a completely new challenge - spending 77 days rowing across the Atlantic Ocean with fellow GOSH nurse, and raising £190,000 for metabolic research. In 2009 she was part of the first ever-female crew to row across the Indian Ocean, a 3,600m trip that took 78 days. Elin completed a hat-trick of oceans by sailing 6,000 miles across the north Pacific. Her adventures over the years have raised over £250,000 for charities close to her heart. An experienced Data Protection practitioner, Richard has spent the last 9 years working across healthcare, pharmaceutical, technology and financial service sectors. A firm believer in engaging on an operational level in addition to key stakeholders in Compliance and Legal he takes pride in building sustainable privacy frameworks, providing real world, workable solutions to a wide range of privacy related challenges. 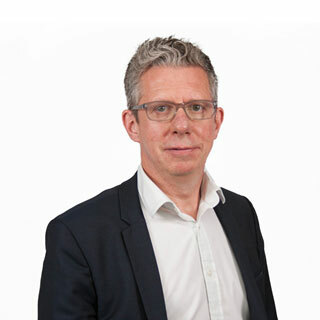 Richard is currently responsible for privacy compliance across the UK and European businesses covering operations in the UK, France, Italy and Spain, focussing on developing and implementing a group wide privacy framework in preparation for the General Data Protection Regulation. PORT.im is a personal data platform that enables businesses to comply with the new General Data Protection Regulations quickly, easily, and at low cost. Prior to PORT, he spent 8 years leading the development of a number of large digital personal data projects, many with an emphasis on optimising the flow of data between people and businesses, to the benefit of both. During this time he led the creation of a leading energy comparison service, now with over 3 million members. Before the world of personal data, Julian built an international design consultancy and then a glass manufacturing business, among other enterprises. 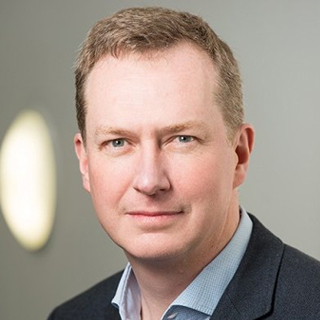 Simon manages operations and engagement with financial institutions, regulators and technology partners and heads projects such as participation in the FCA regulatory sandbox. 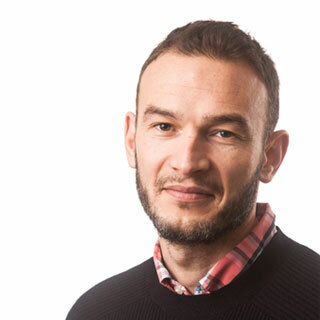 Simon's background is in engineering and previously headed digital services and transformation for the Telegraph, Guardian and Financial Times production for 15 years. Digital health & life sciences entrepreneur and recently was appointed as a NHS Innovation Accelerator Fellow. She founded Px HealthCare (Px stands for Patient Experience), which has launched OWise, the validated mobile app platform providing cancer patients with real time, personalised medical support tools. It collects and analyses the anonymised, real-time Patient Reported Outcome data to improve clinical outcomes in cancer. Prior to setting up Px, Anne founded Curidium, a genomics data-mining company focused on identifying diagnostics and therapeutics to treat patients with central nervous system disorders more effectively. With Curidium's she raised several rounds of angel funding before taking the company public on the AIM of the London Stock Exchange. Prior to founding Curidium, Anne led various research groups at a number of pharmaceutical companies. She has a MSc in Pharmacy (Groningen University) and a PhD from the medical faculty of Utrecht University (the Netherlands). In 2003 she became the London Biotechnology Network’s "Young Entrepreneur of the Year” and since then has received numerous awards for her work with Px HealthCare. 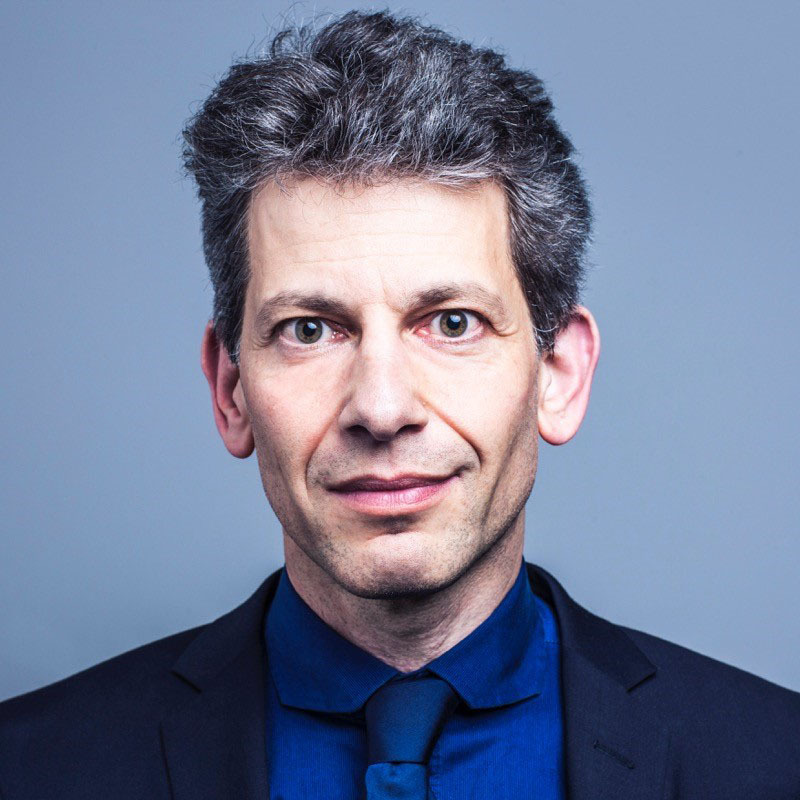 Jean-Stéphane Gourévitch is an expert of the strategic, public policy & market aspects of the data economy and innovation ecosystem with over 25 years global experience at senior management levels. 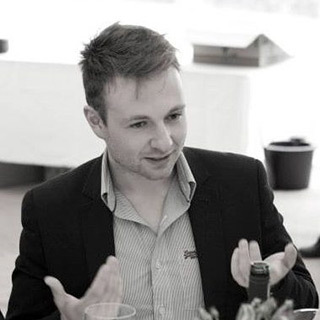 Jean-Stéphane is a Management/strategic consultant in digital & mobile payments/banking, Fintech, Insurtech, the data economy, digital health, digital transformation with focus on strategy, strategic marketing, public policy, competition policy. He is also an independent conference director, creating programs/content for major conferences and events around the world. 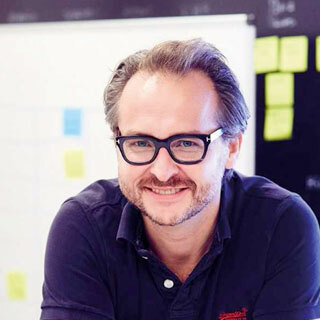 Finally, Jean-Stéphane is also a mentor and advisor to fintech, insurtech, digital Health and digital/data technologies startups and young entrepreneurs in Europe, Africa, Asia, Middle East, Latin and North America. He has held senior management strategy and public policy/regulatory positions with International mobile operators and digital communications firms, regulators and top tier consulting firms for over 20 years before jumping into the entrepreneurial bath by creating his own consulting firm almost 6 years ago.